. 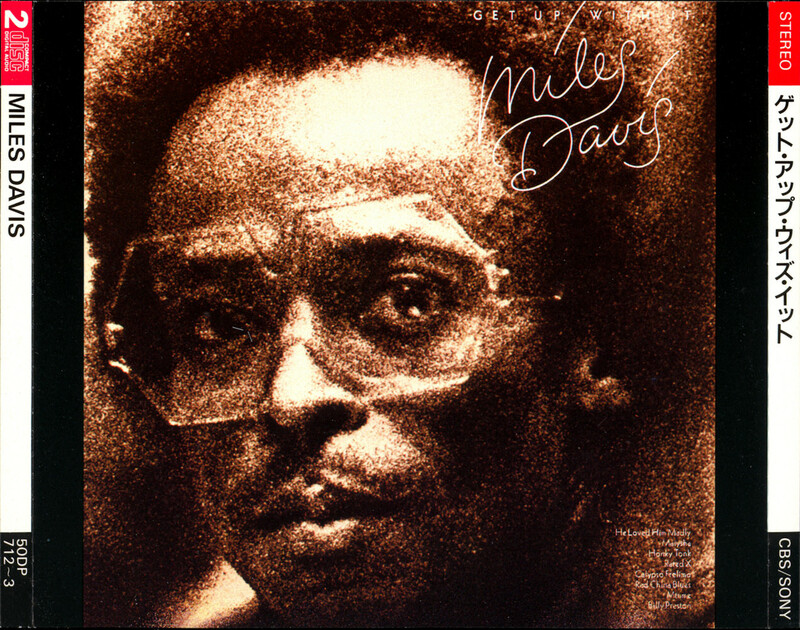 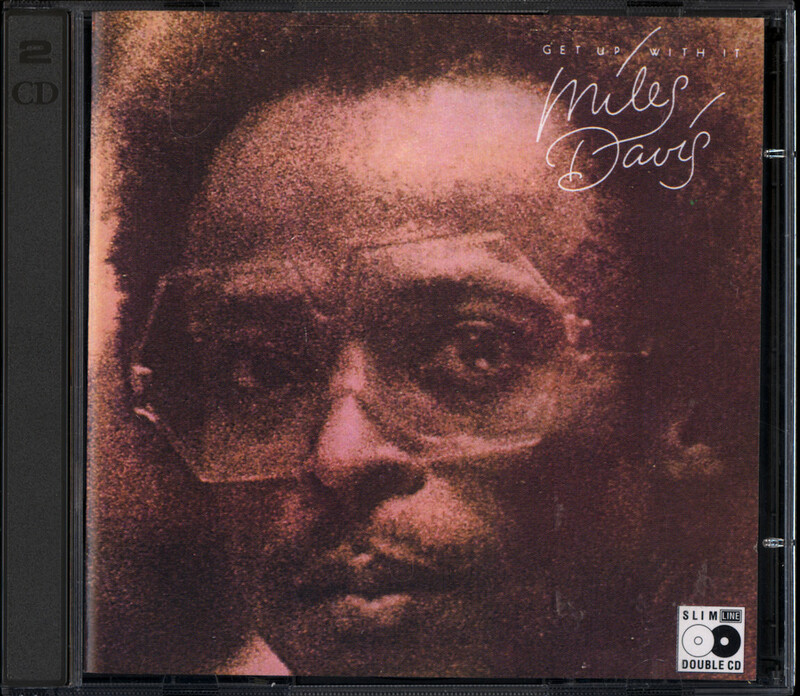 miles davis (1974+) .
. miles davis 1972+ .
. miles davis 1980+ .
. miles davis - dark magus: live at carnegie hall . 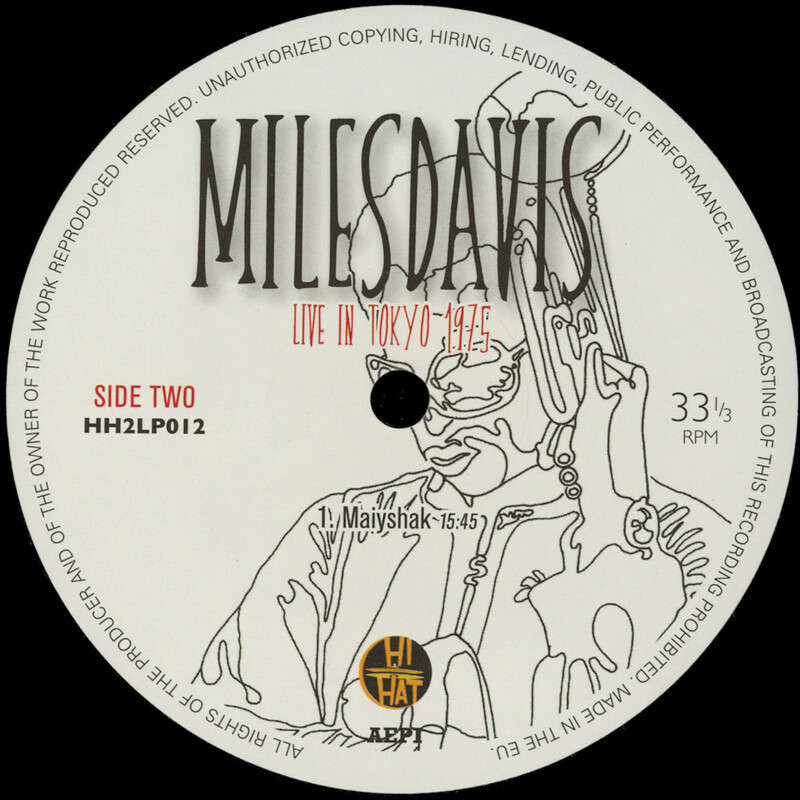 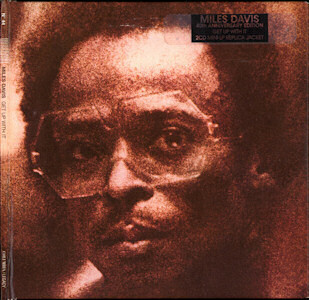 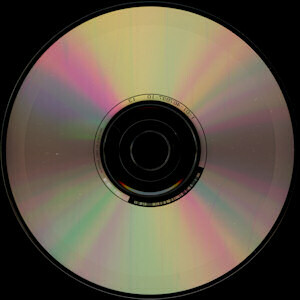 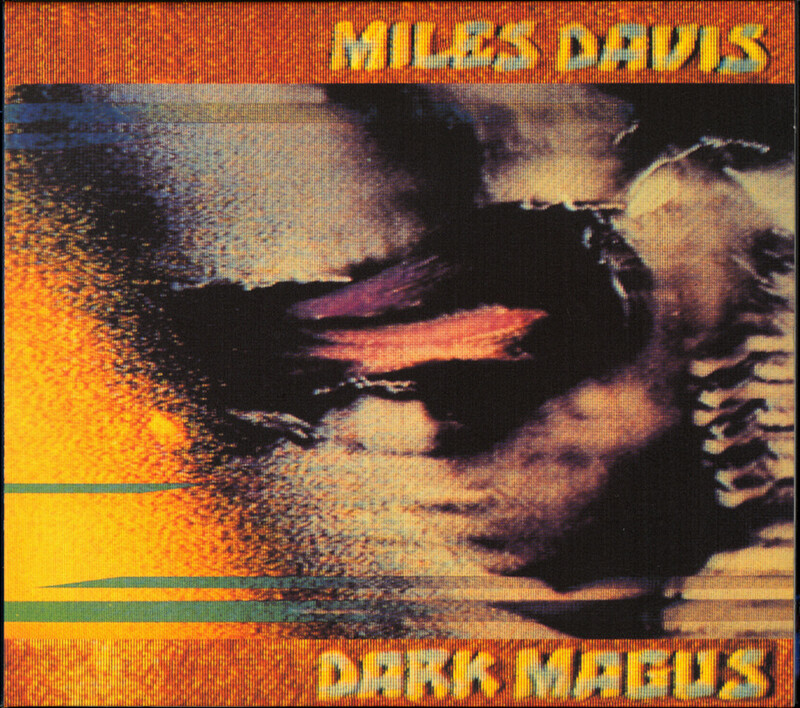 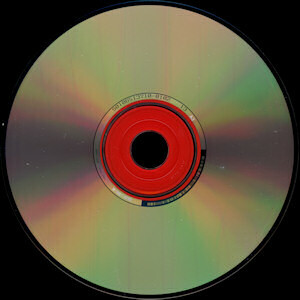 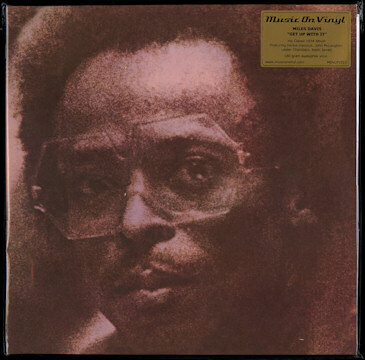 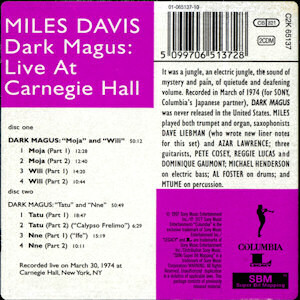 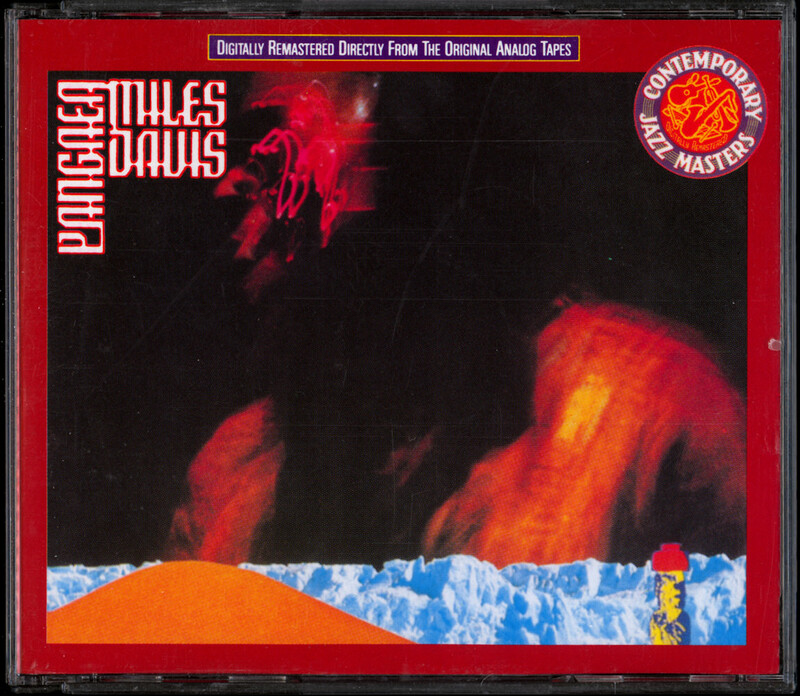 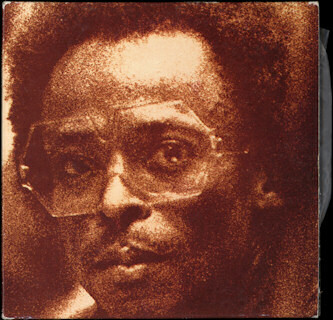 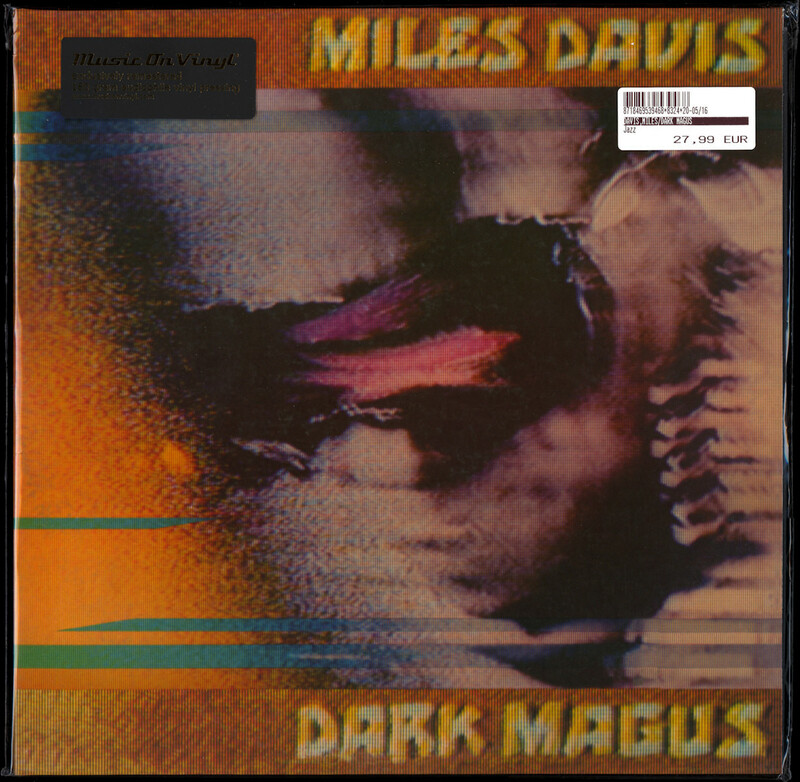 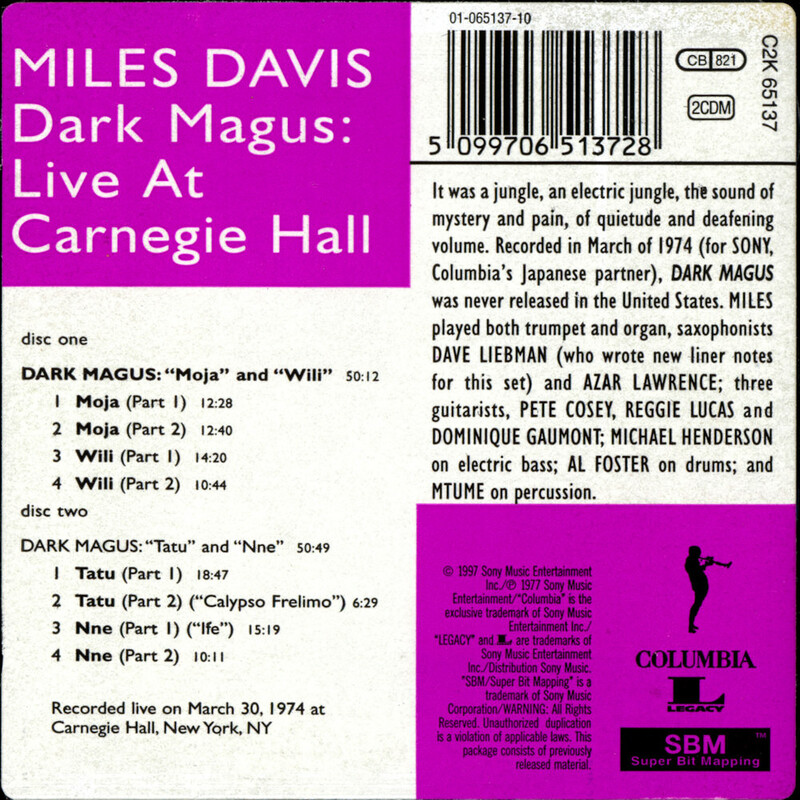 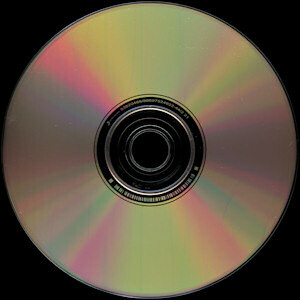 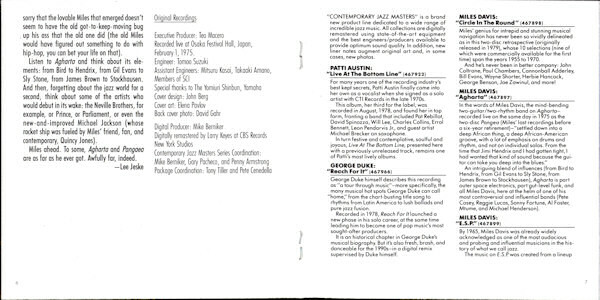 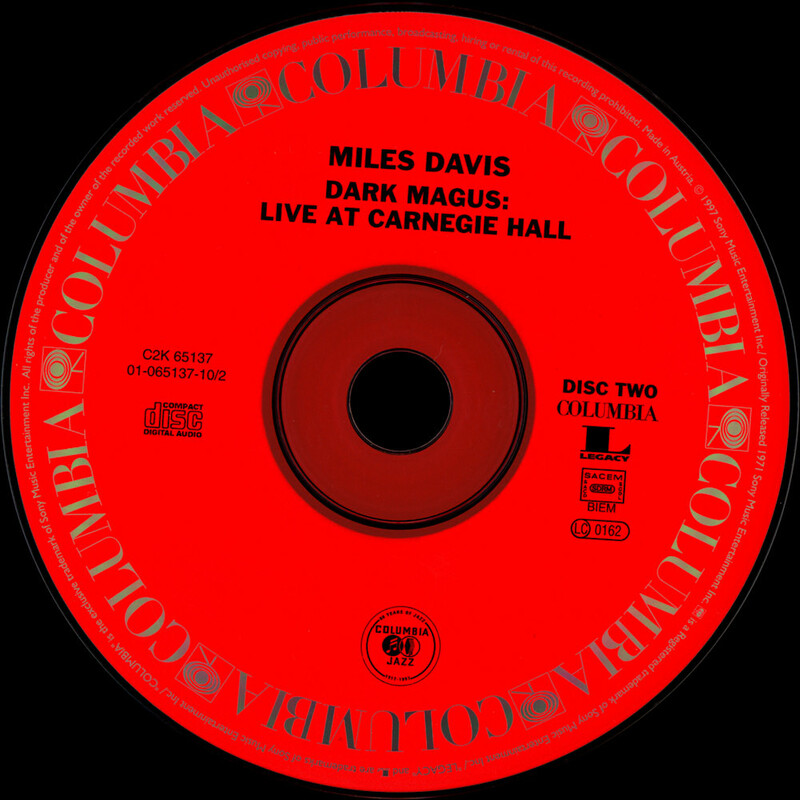 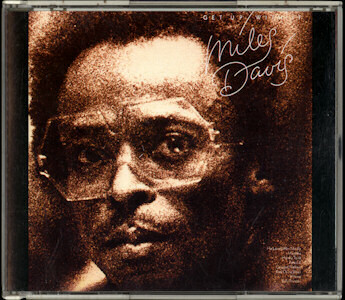 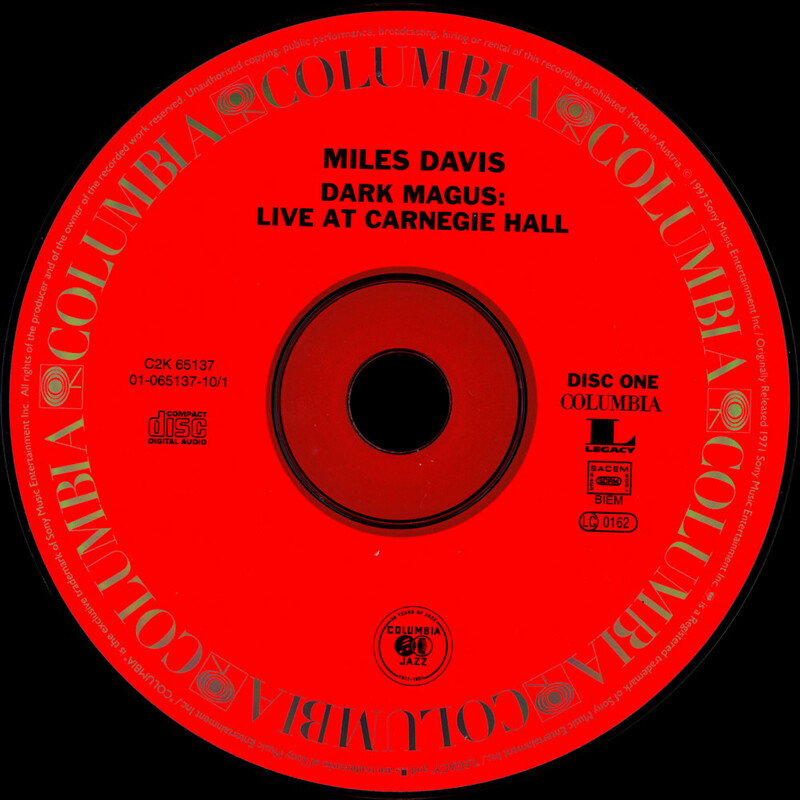 recorded live on march 30, 1974 at carnegie hall, new york, ny.
. miles davis - dark magus . 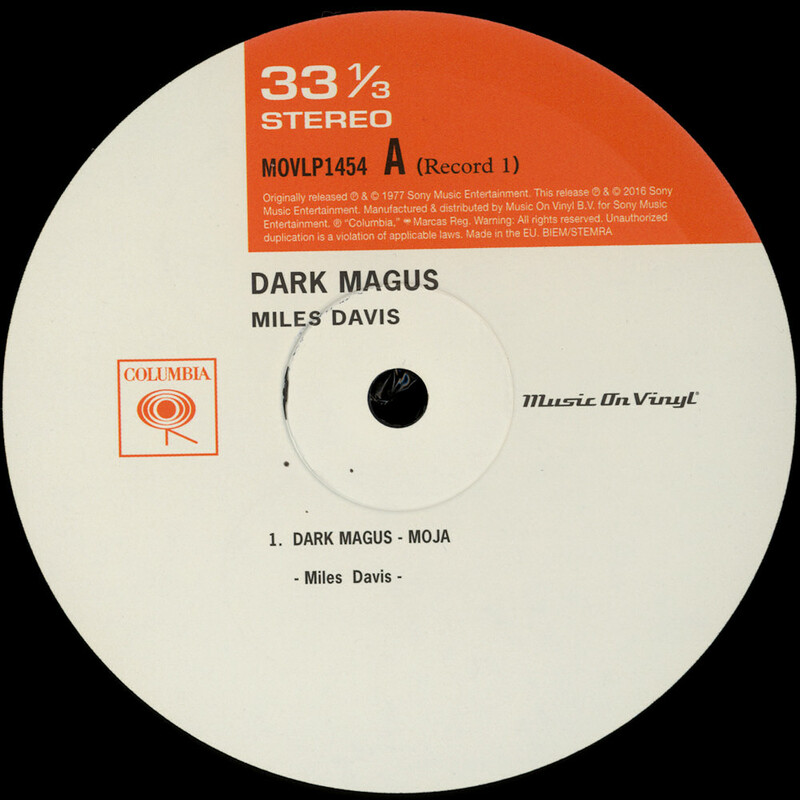 (1974/1977/04.2016 music on vinyl movlp1454 / columbia / sony music entertainment / 8718469539468) 2x12"
. 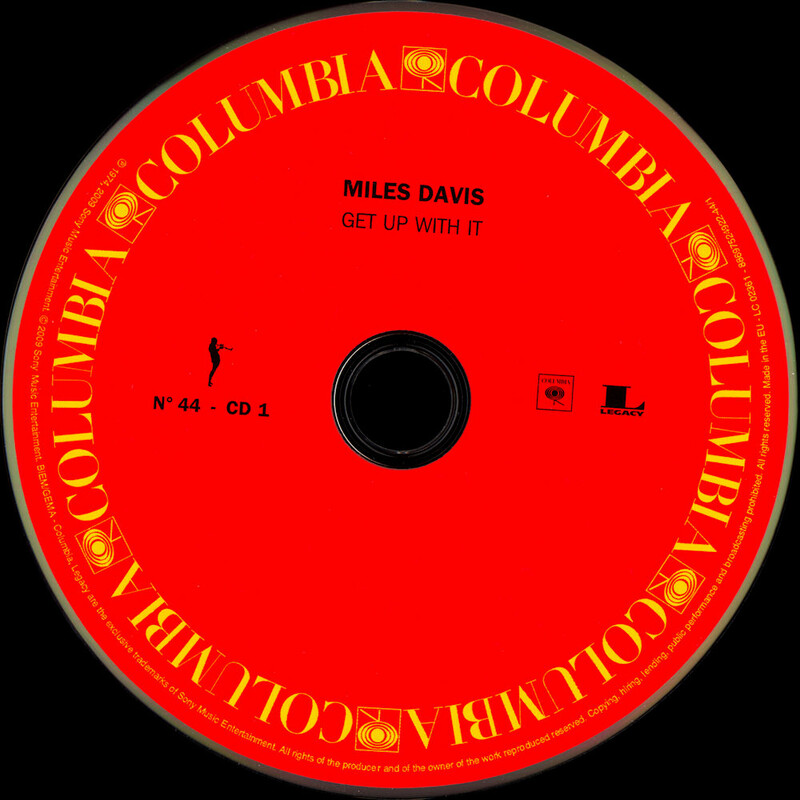 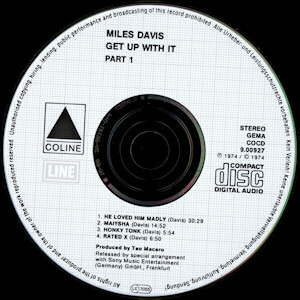 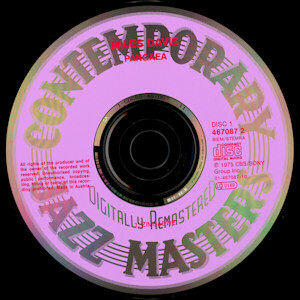 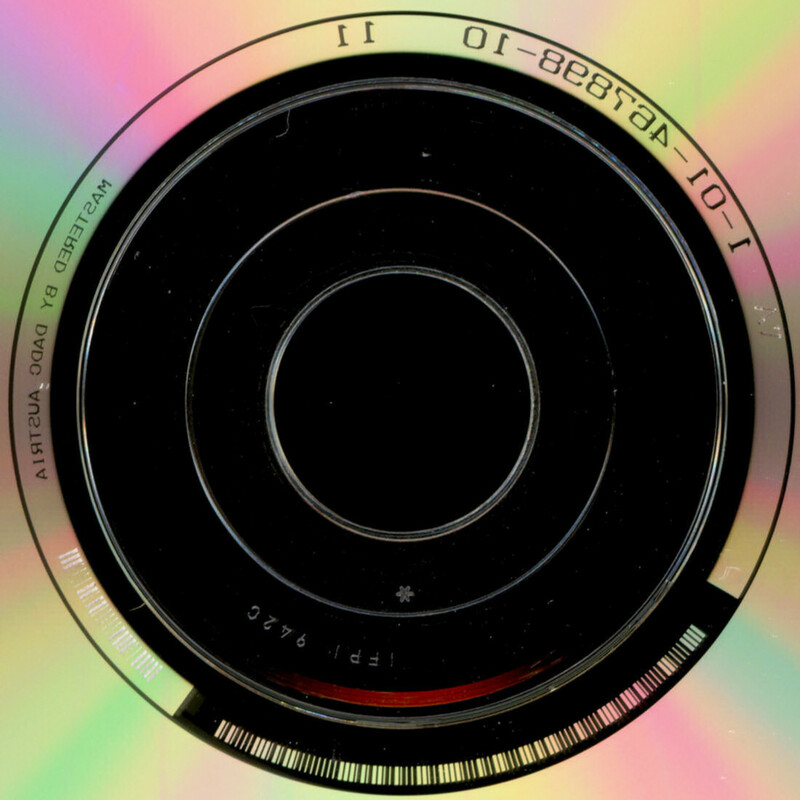 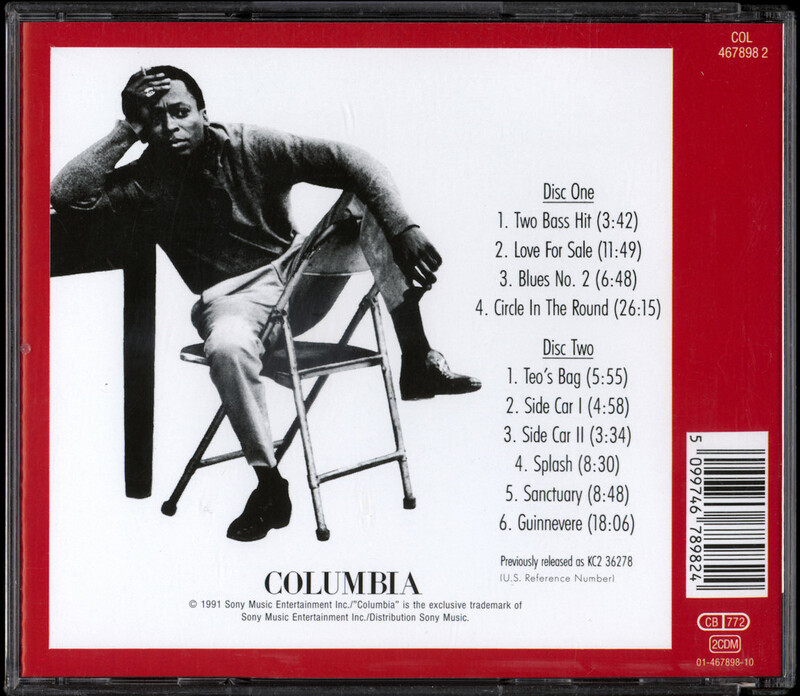 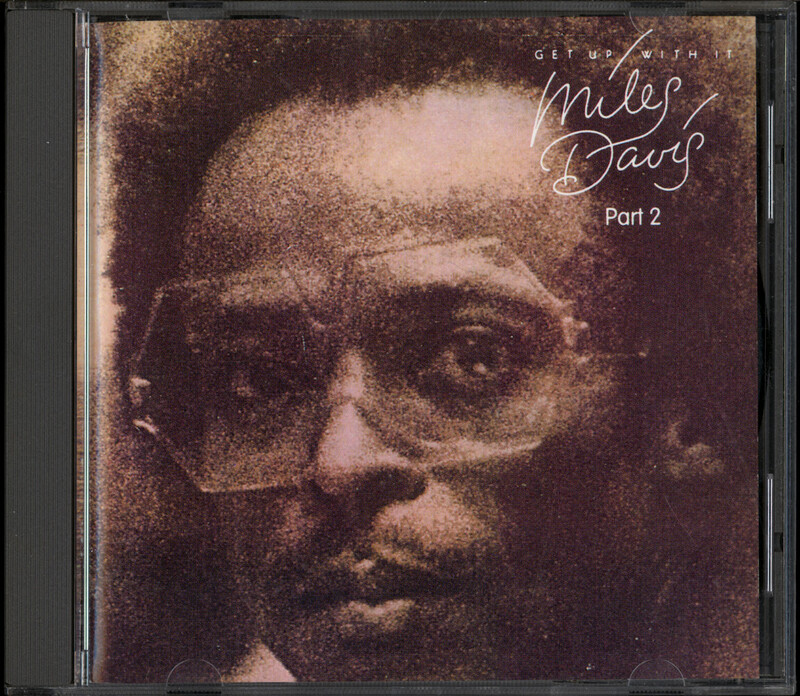 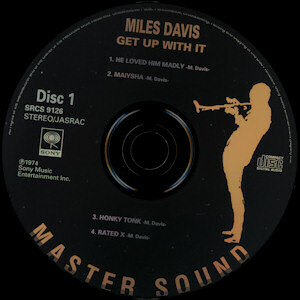 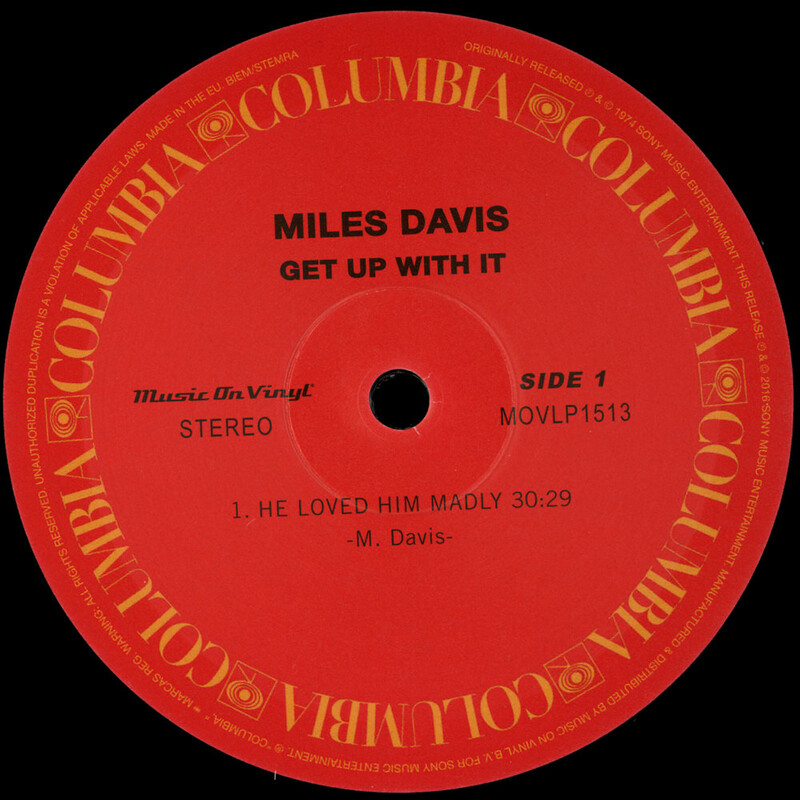 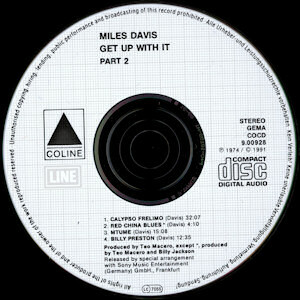 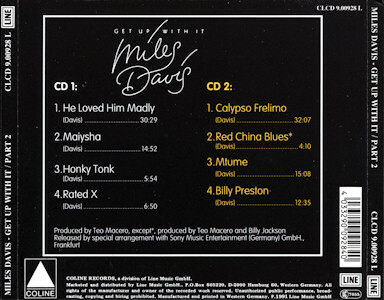 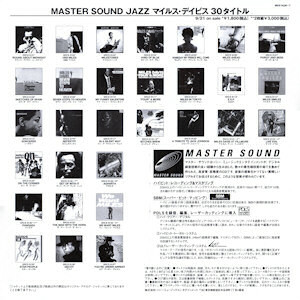 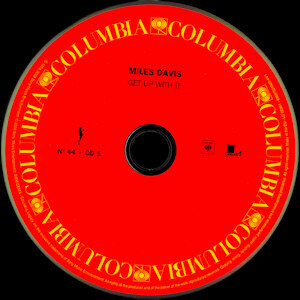 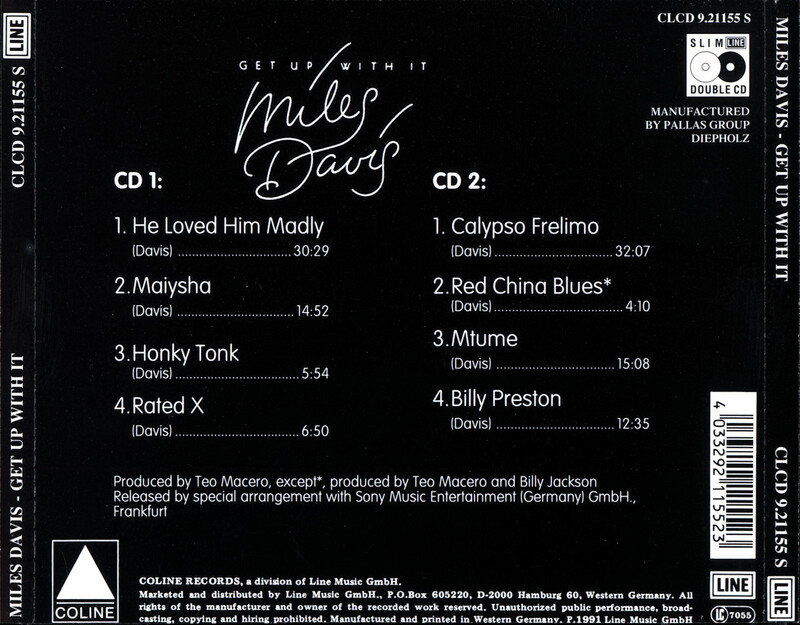 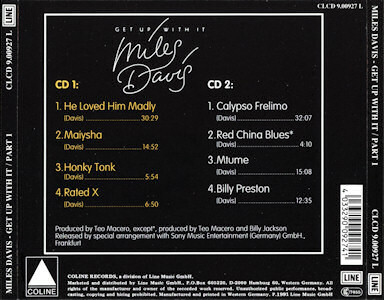 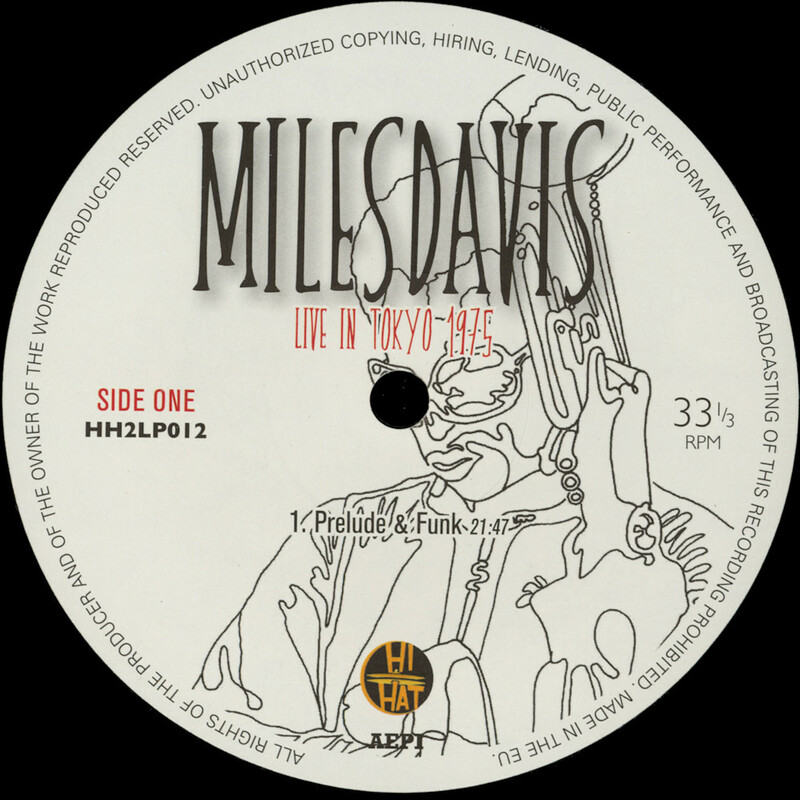 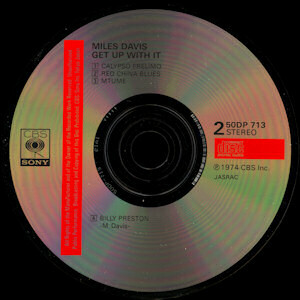 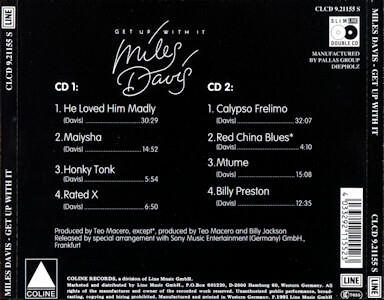 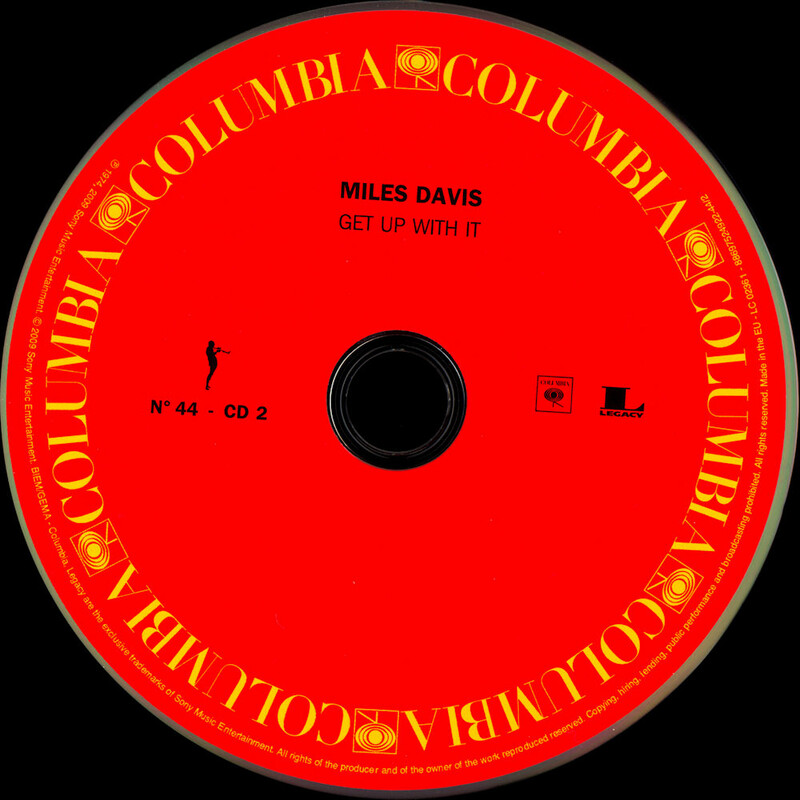 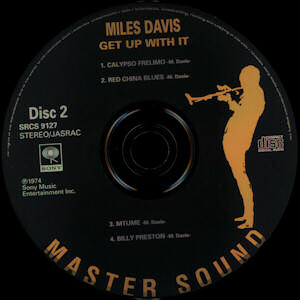 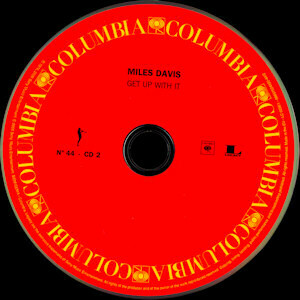 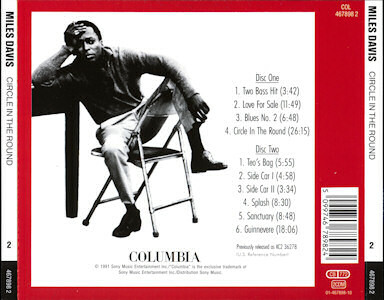 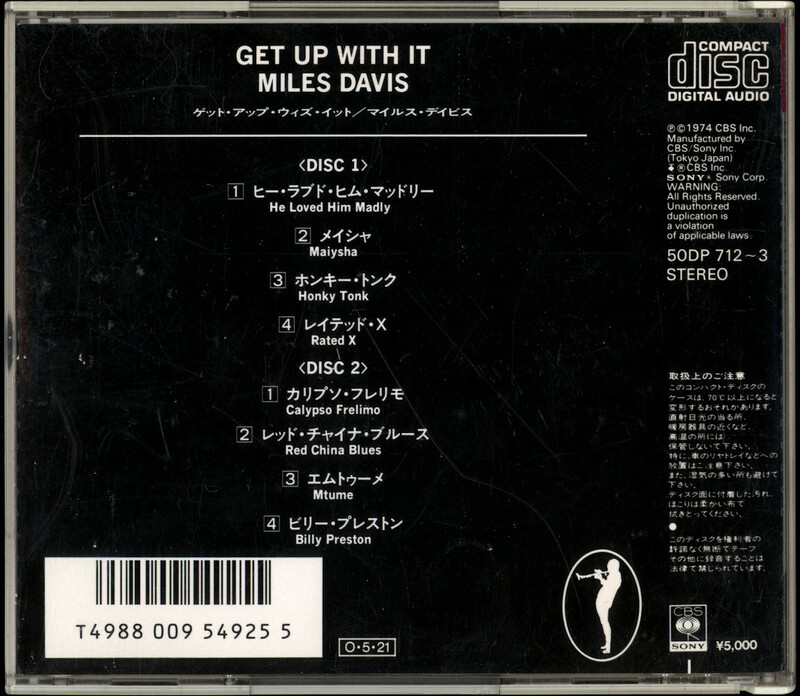 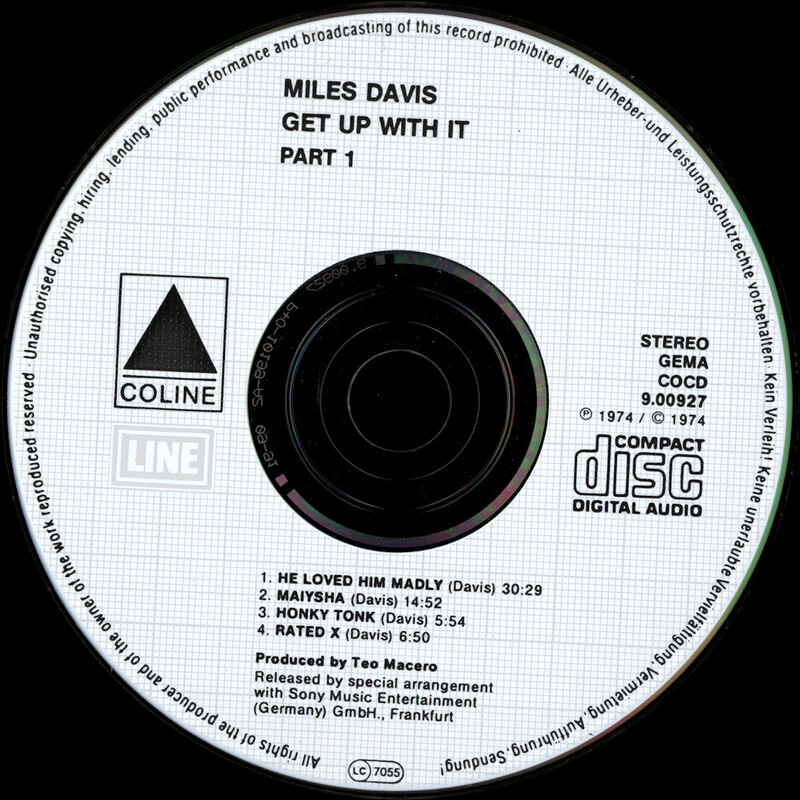 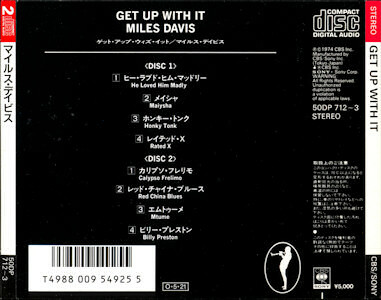 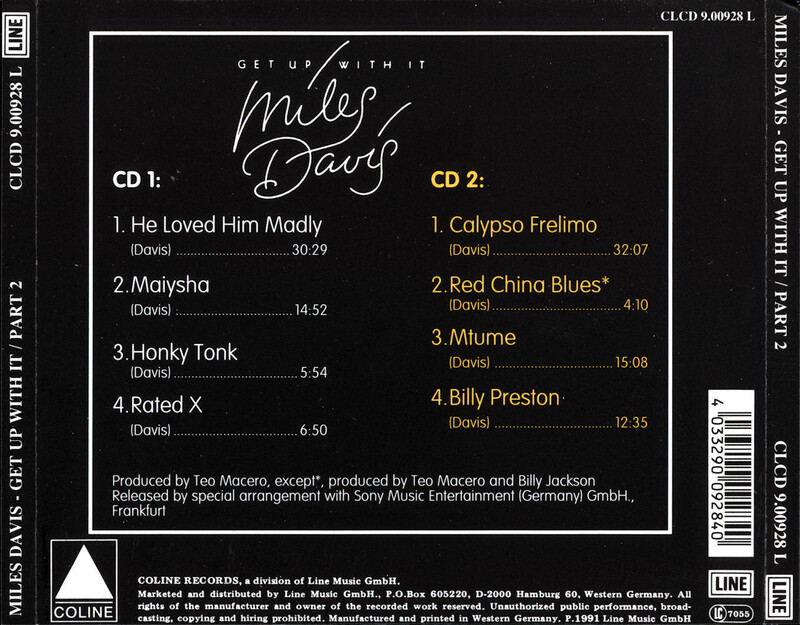 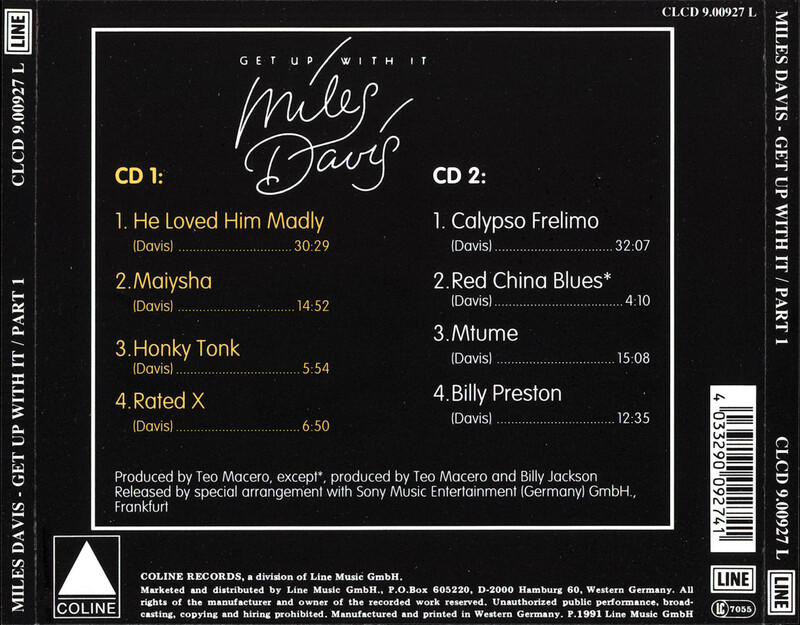 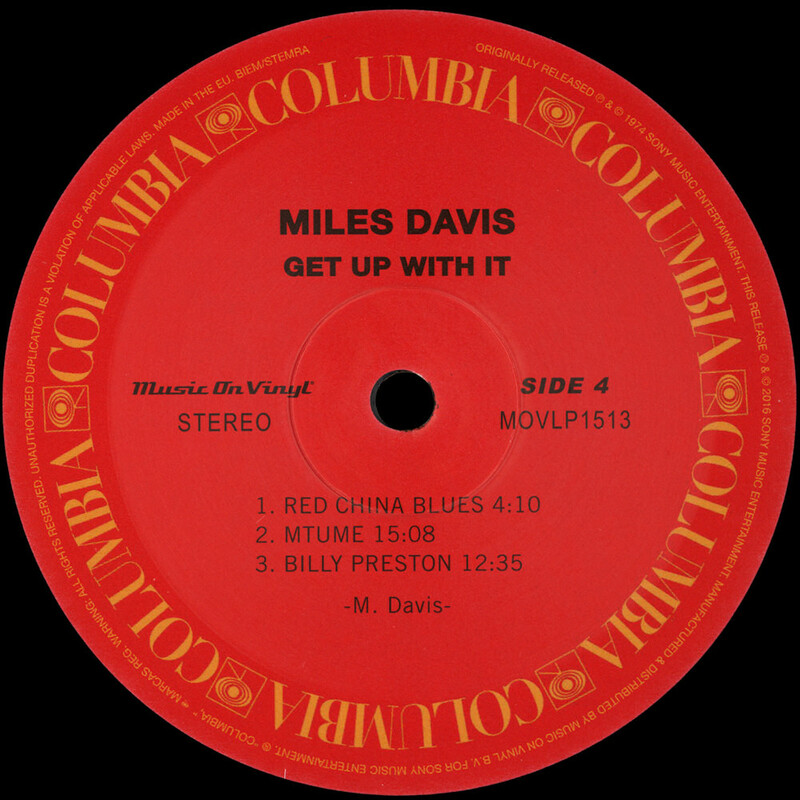 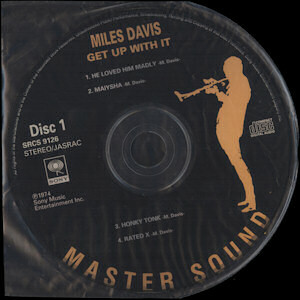 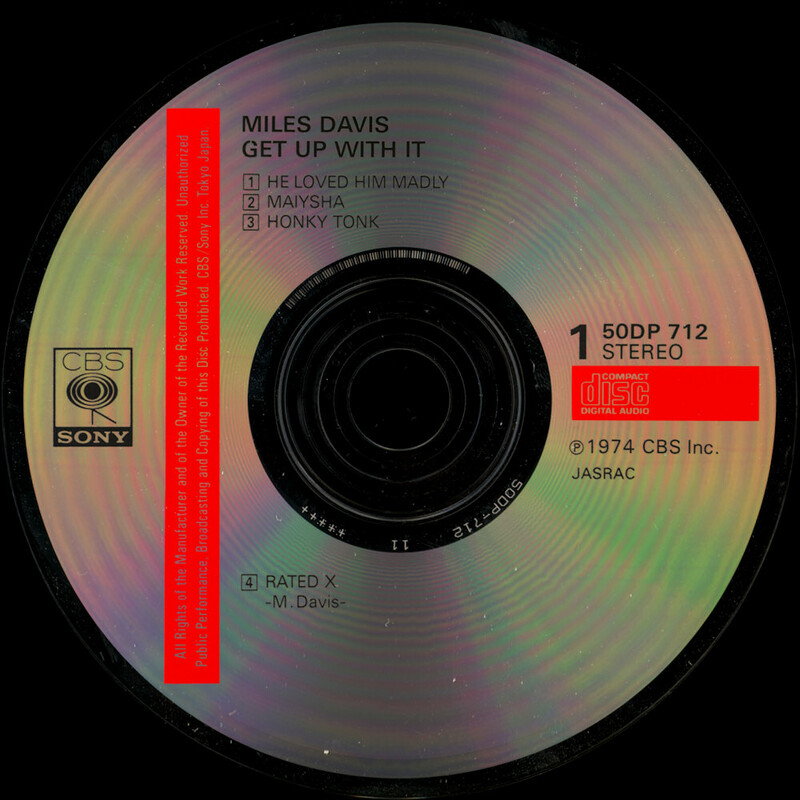 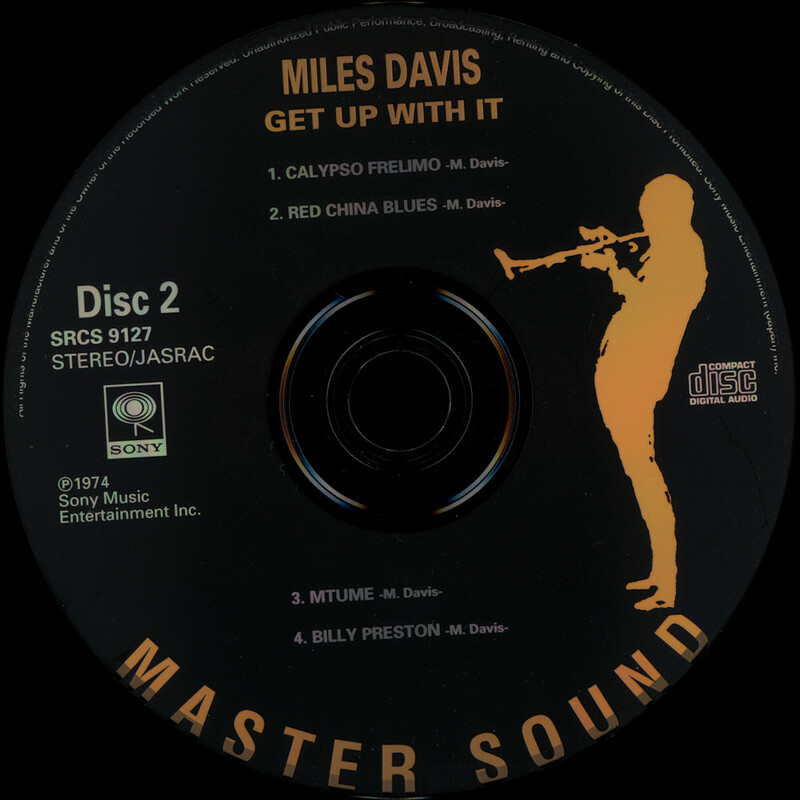 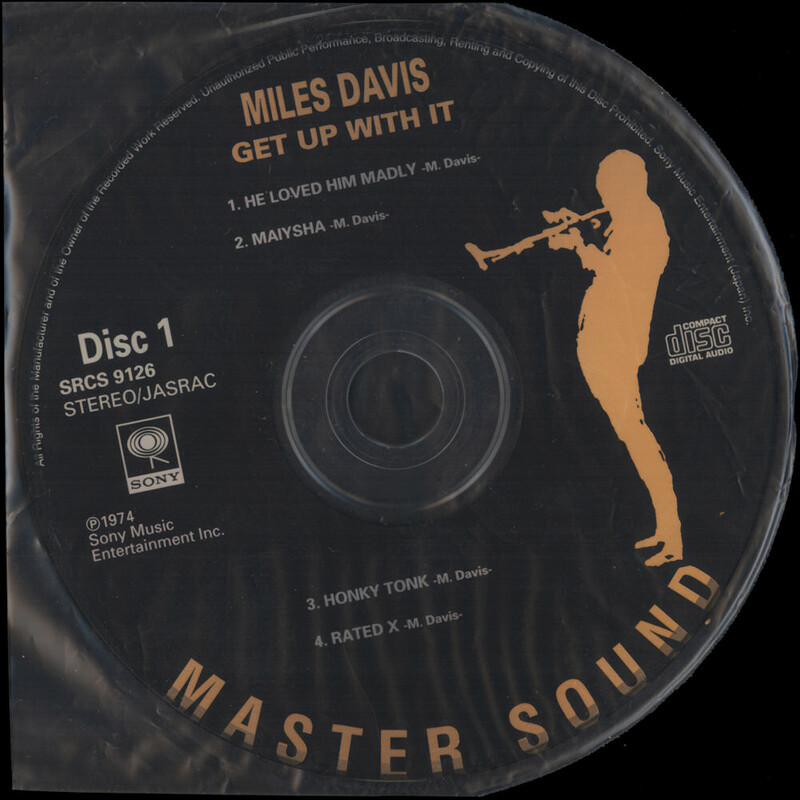 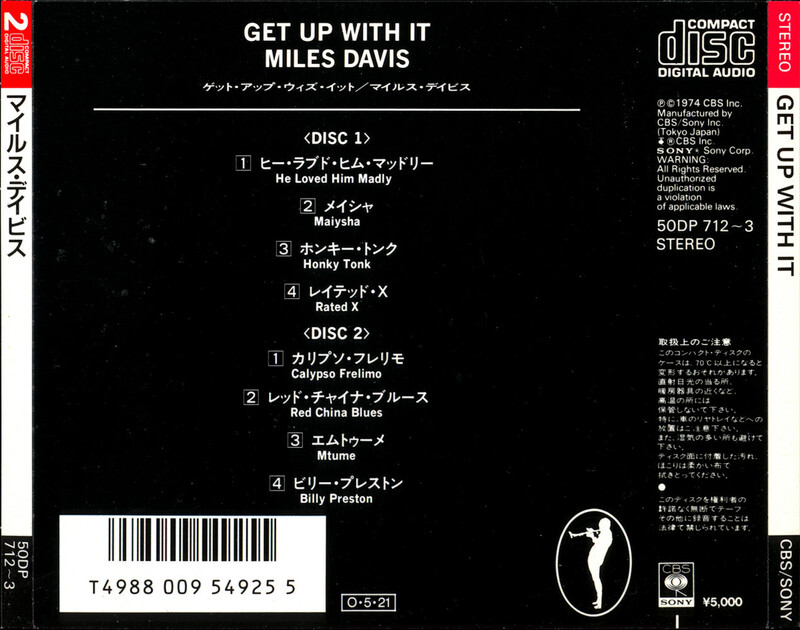 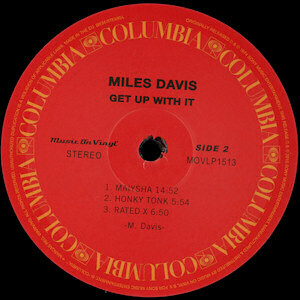 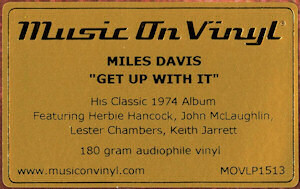 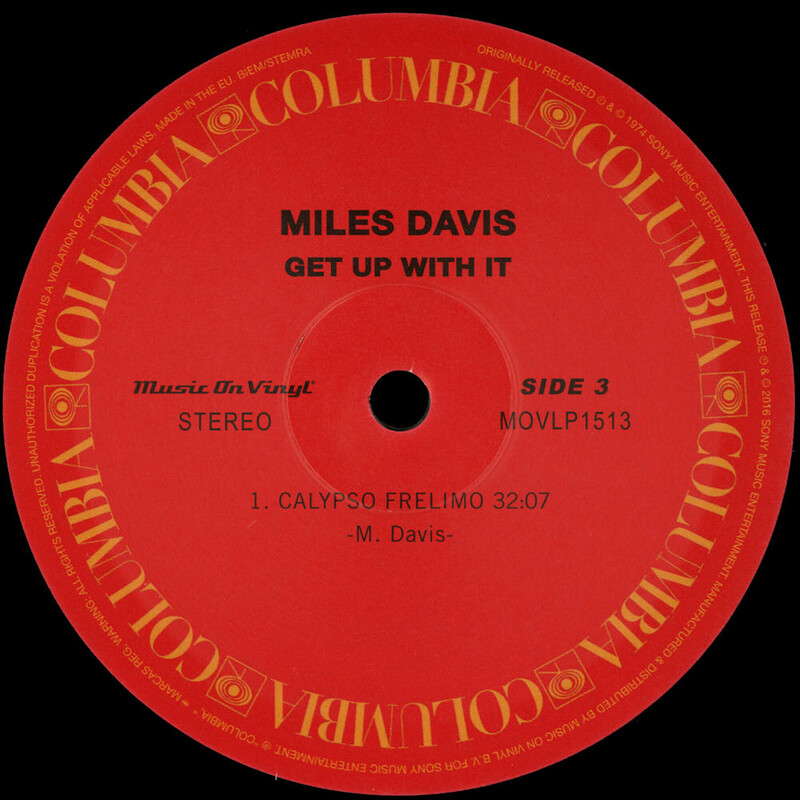 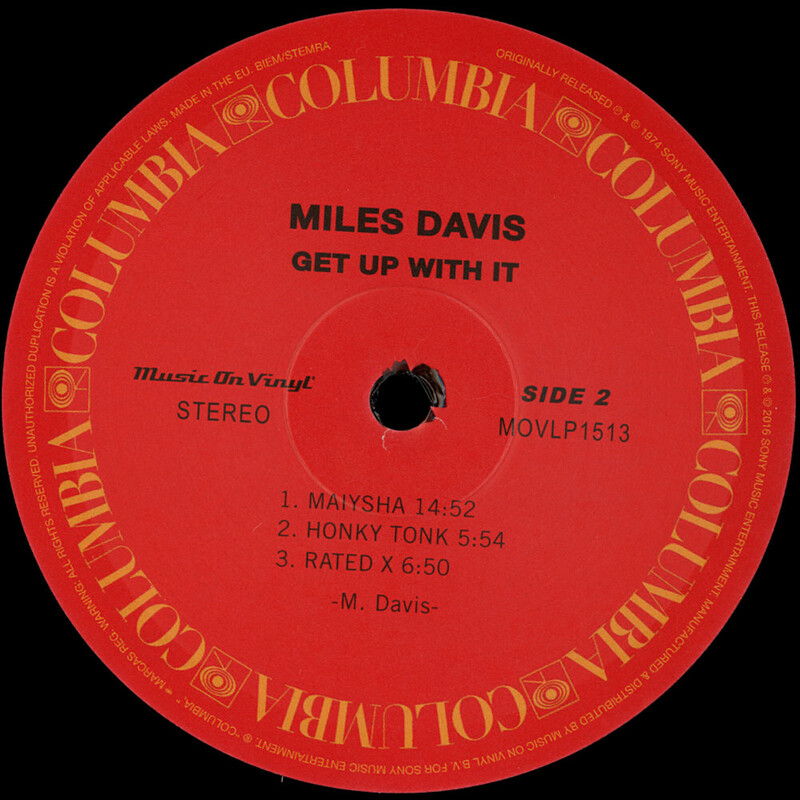 miles davis - get up with it .
. miles davis - get up with it part 1 .
. miles davis - get up with it part 2 . (1974/02.2016 music on vinyl movlp1513 / columbia / sony music entertainment 8718469540051) 2x12"
. 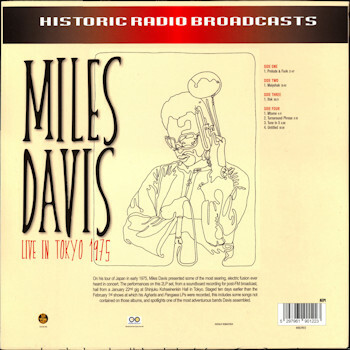 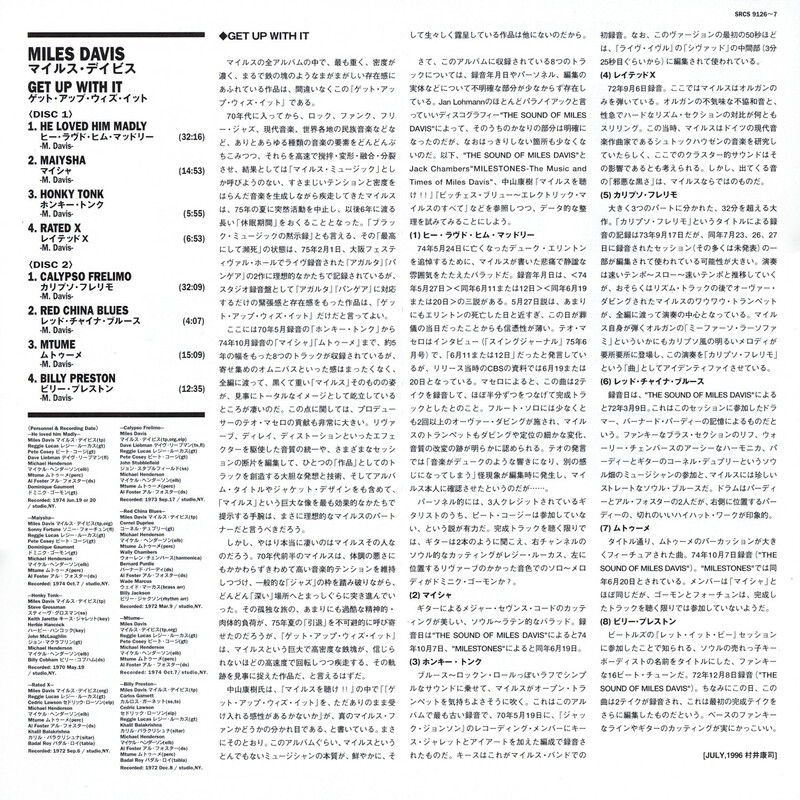 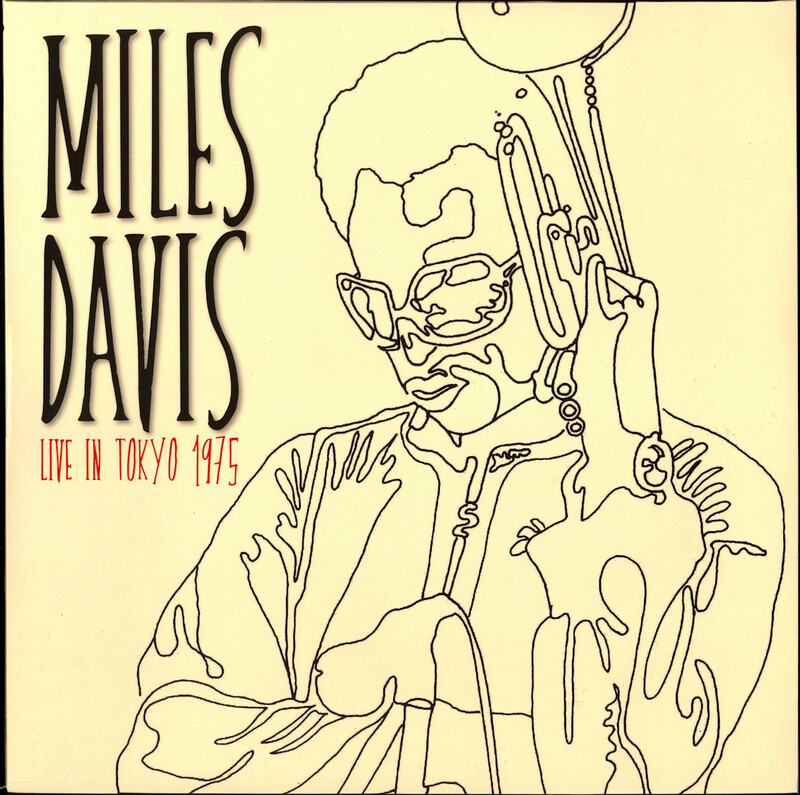 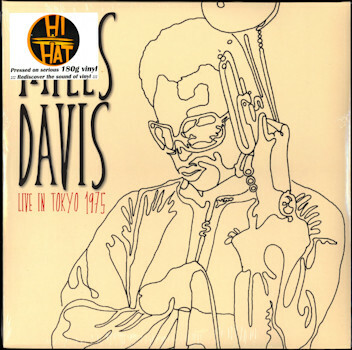 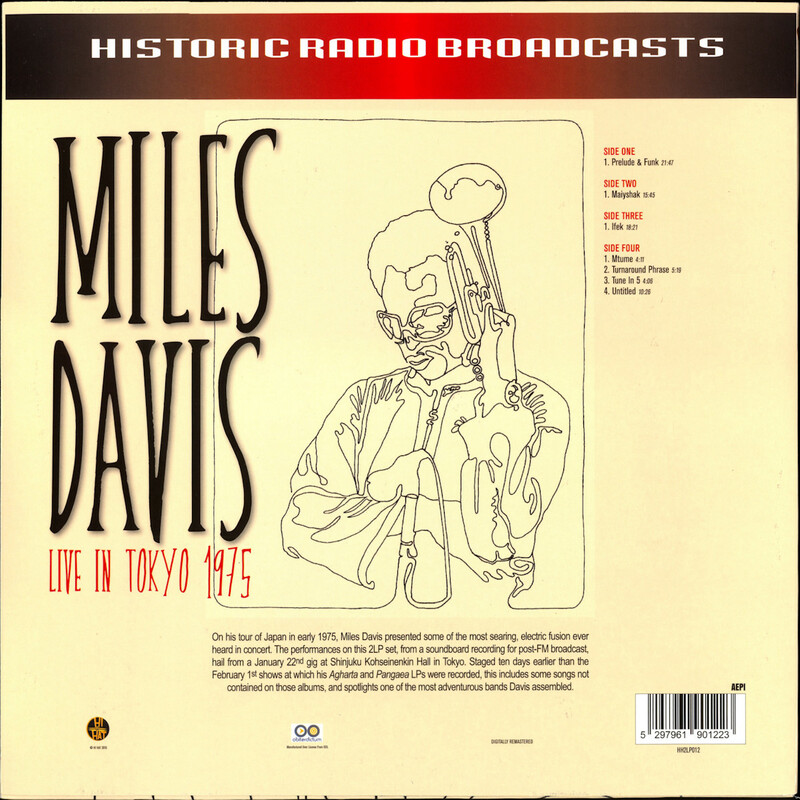 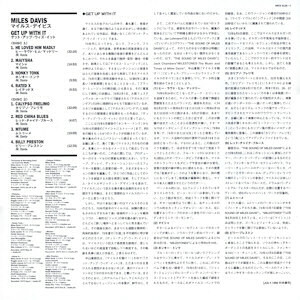 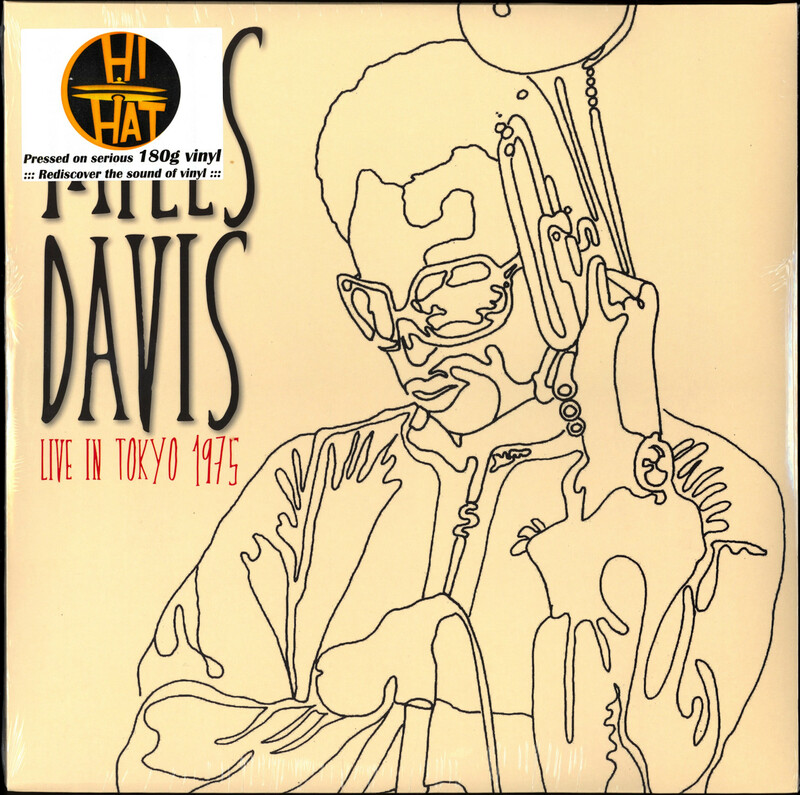 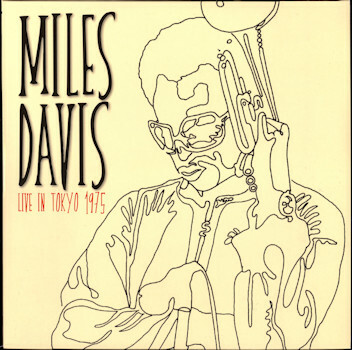 miles davis - live in tokyo 1975 . 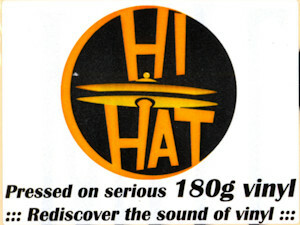 (1975/10.2015 hi hat hh2lp012 / 5297961901223) 2x12"
hail from a january 22nd gig at shinjuku kohseinenkin hall in tokyo. 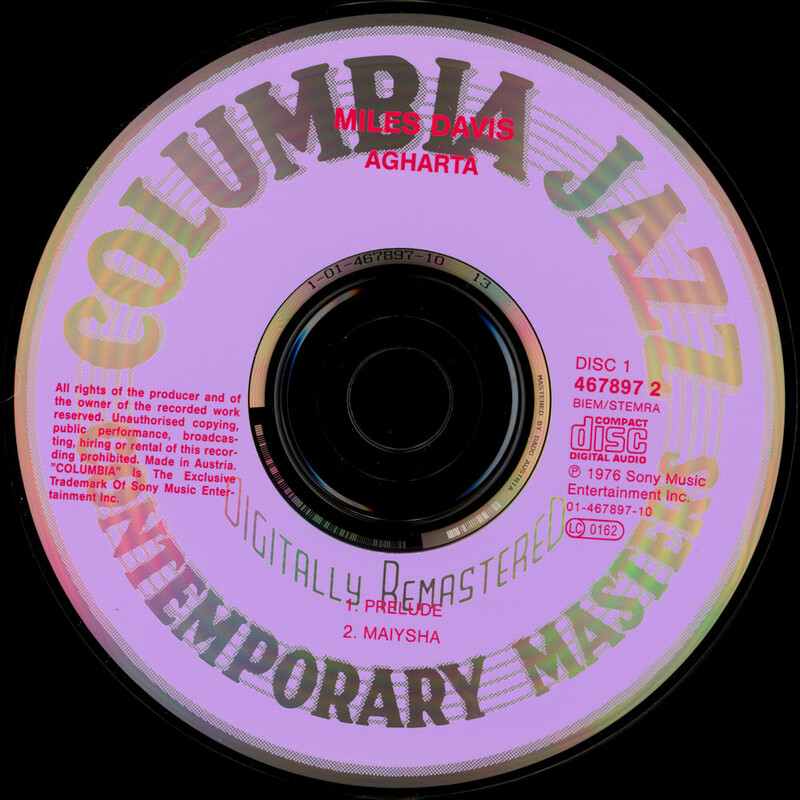 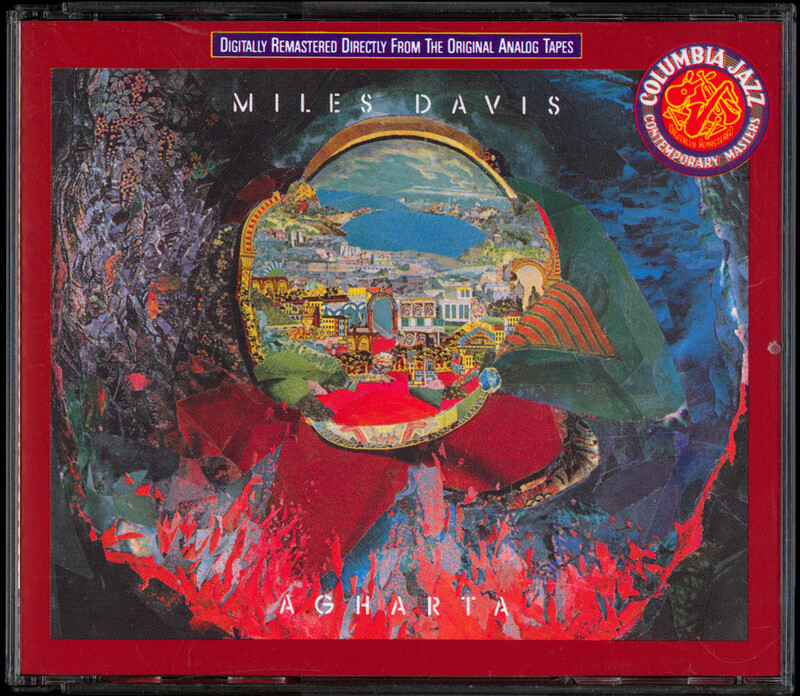 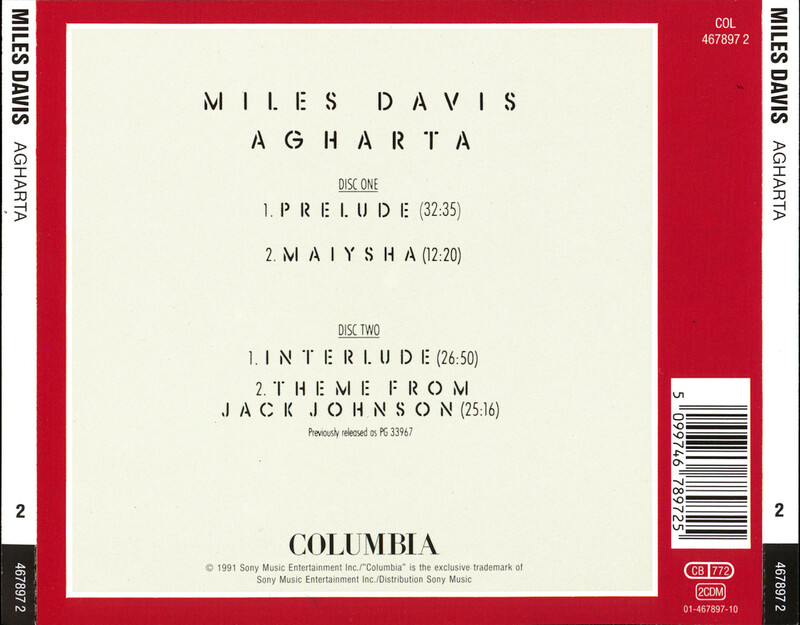 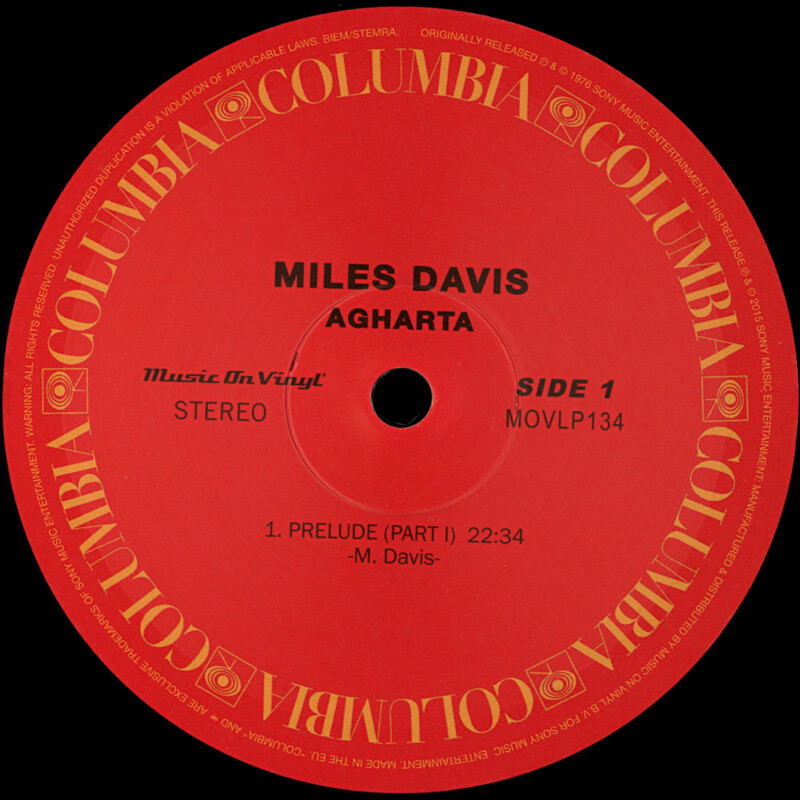 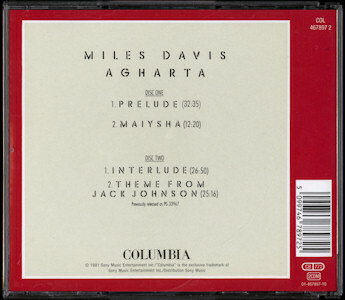 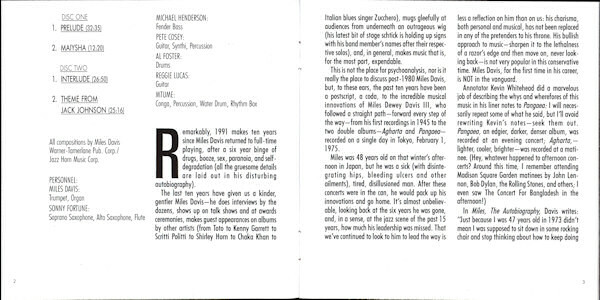 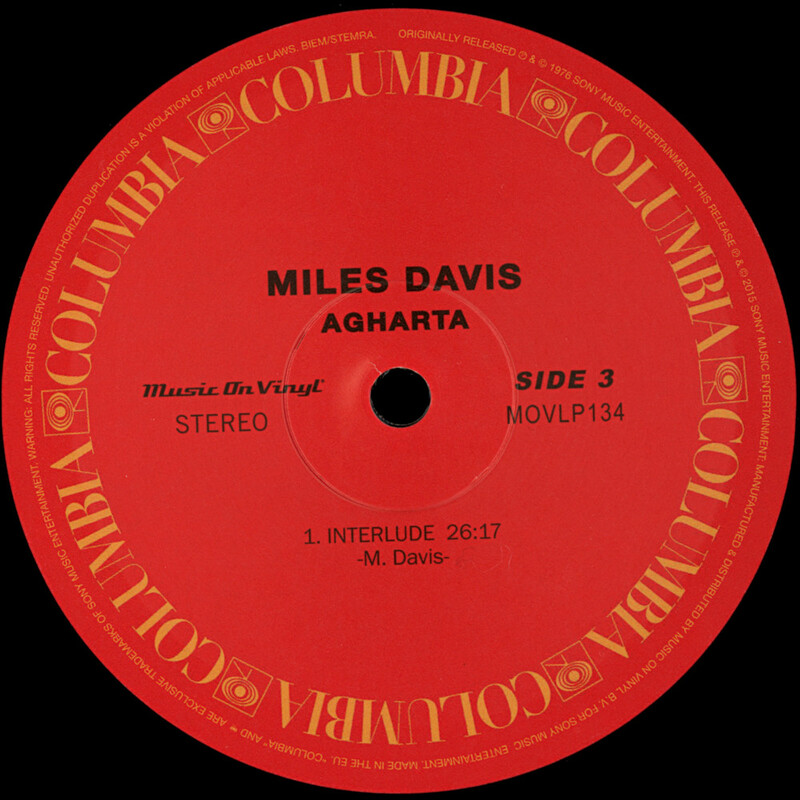 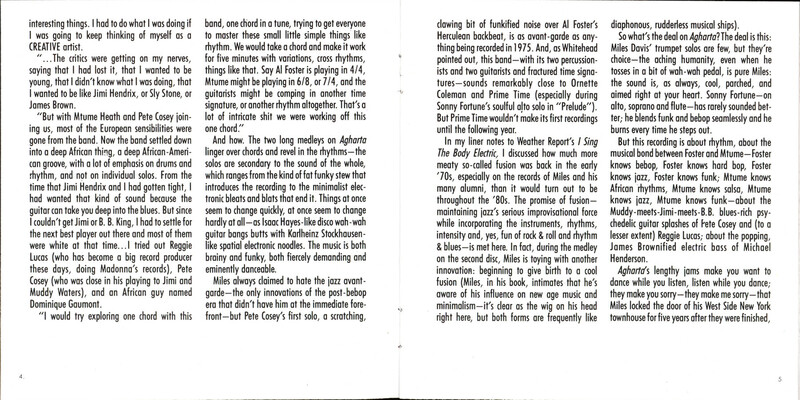 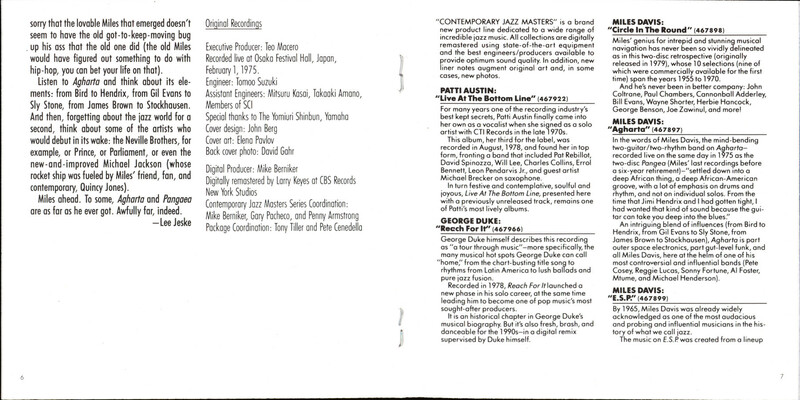 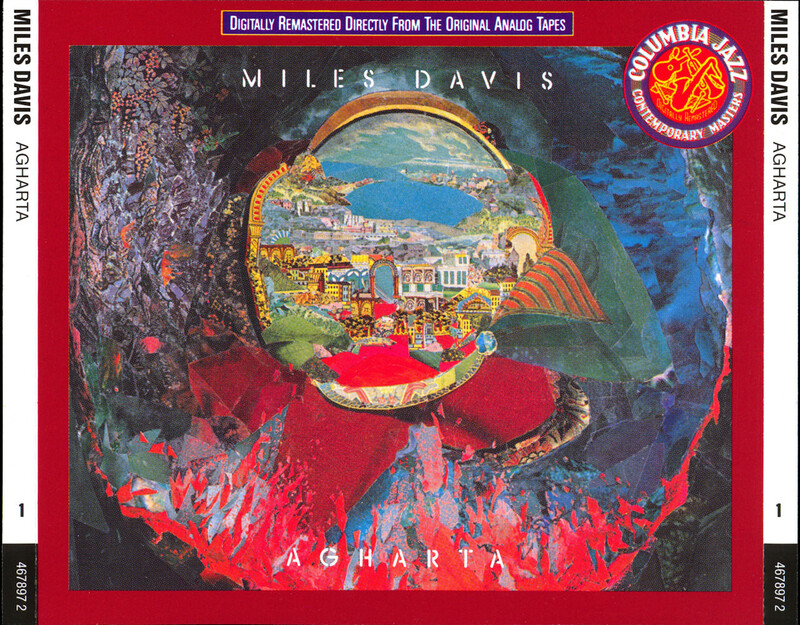 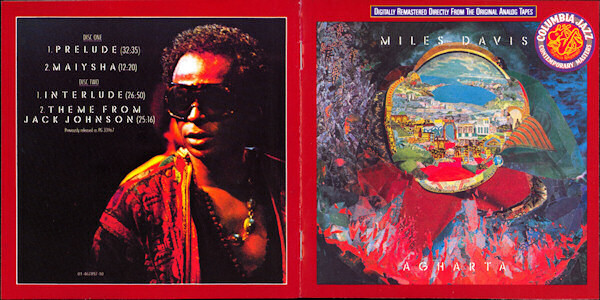 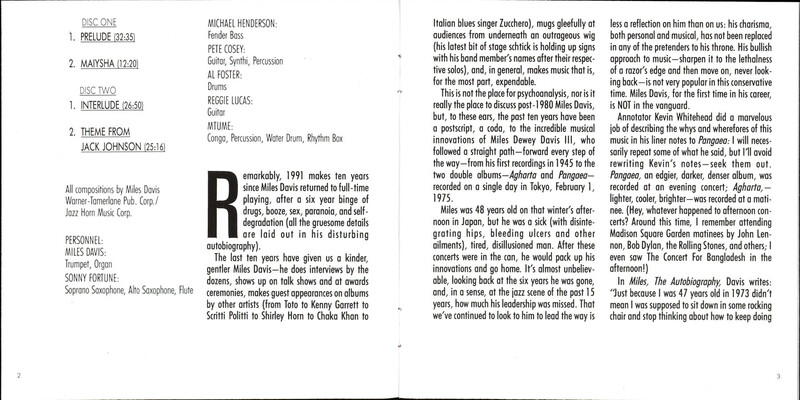 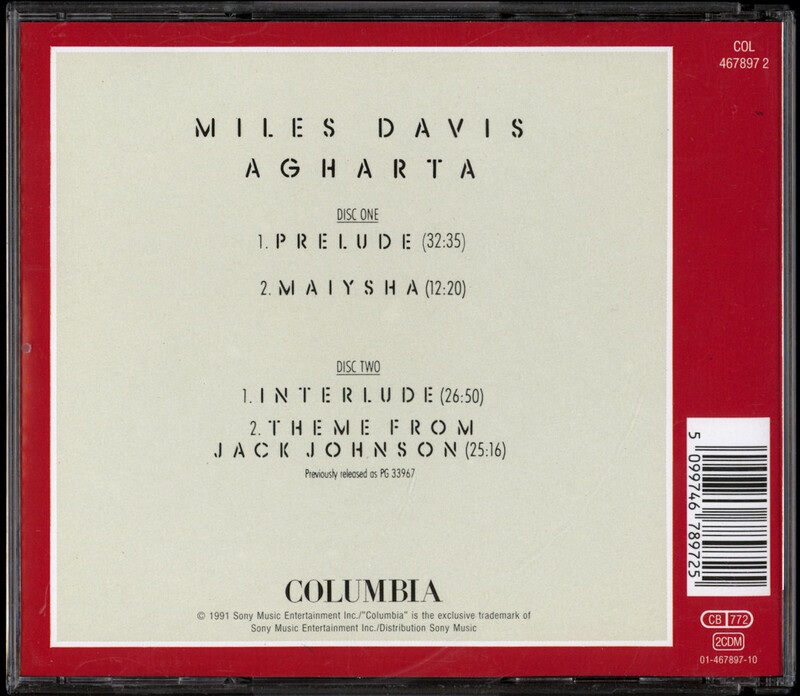 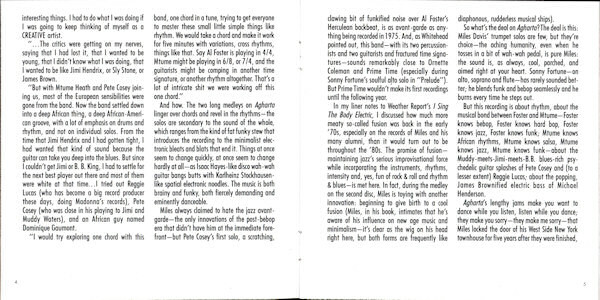 and spotlights one of the most adventurous bands davis assembled.
. miles davis - agharta . 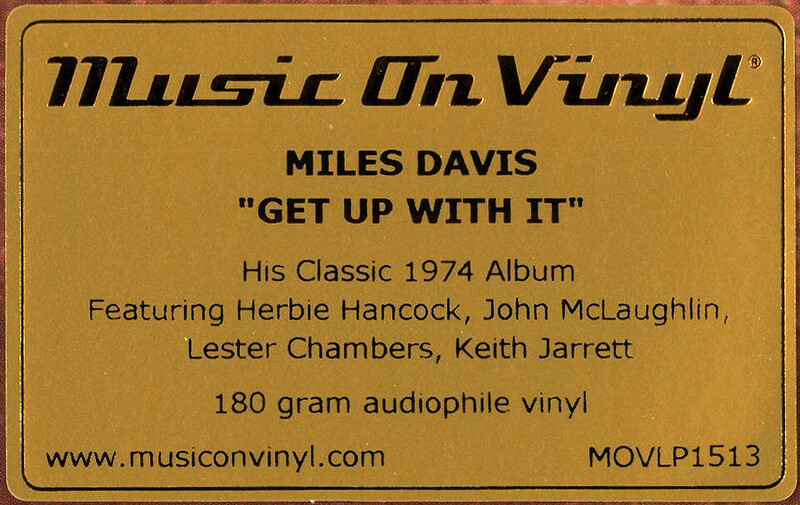 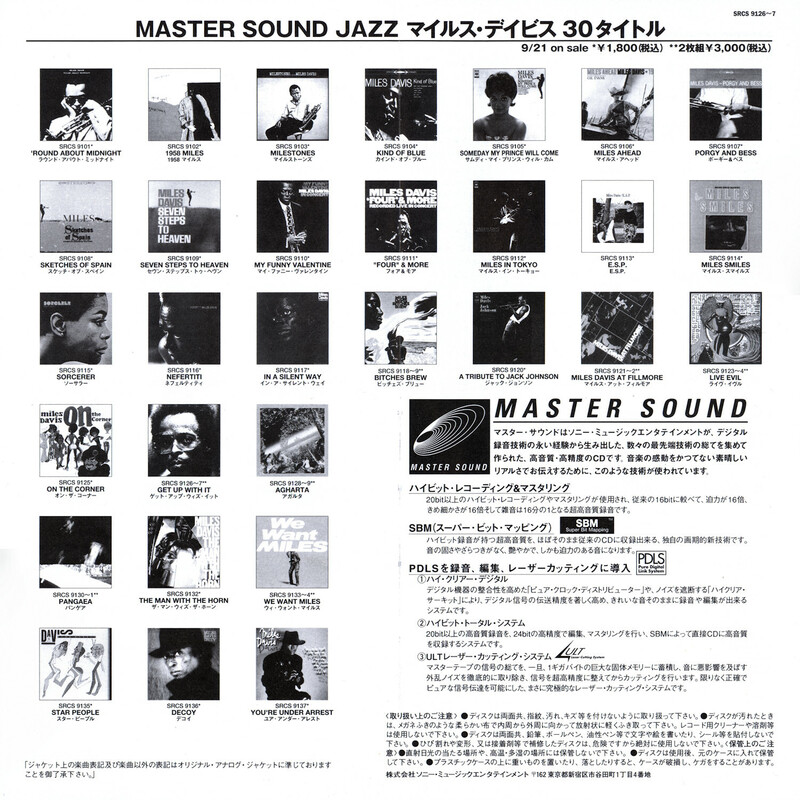 (1976/11.2015 music on vinyl movlp134 / columbia records / sony music entertainment / 8718469538904) 2x12"
. 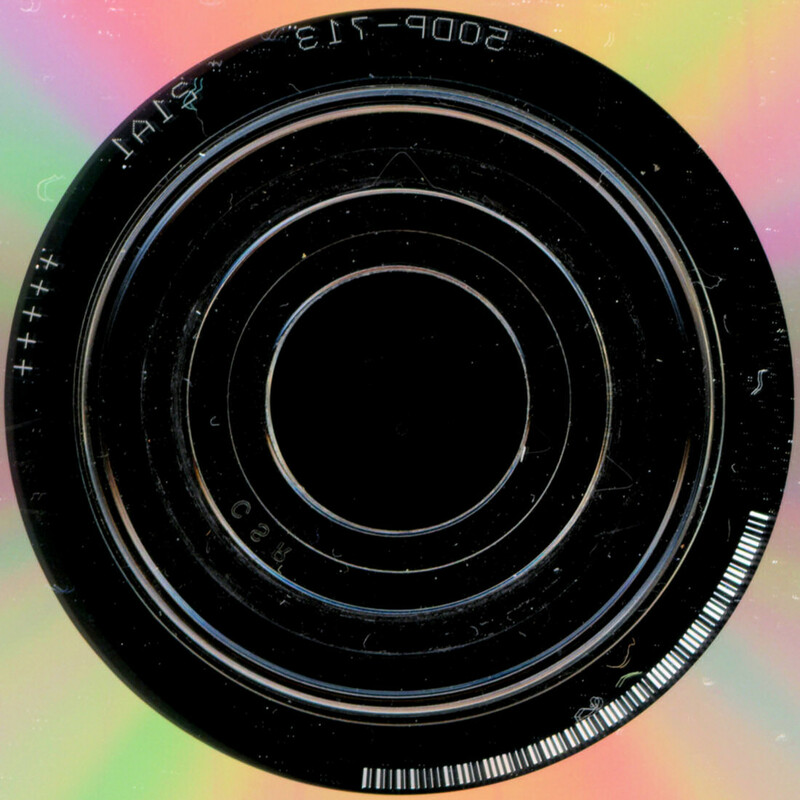 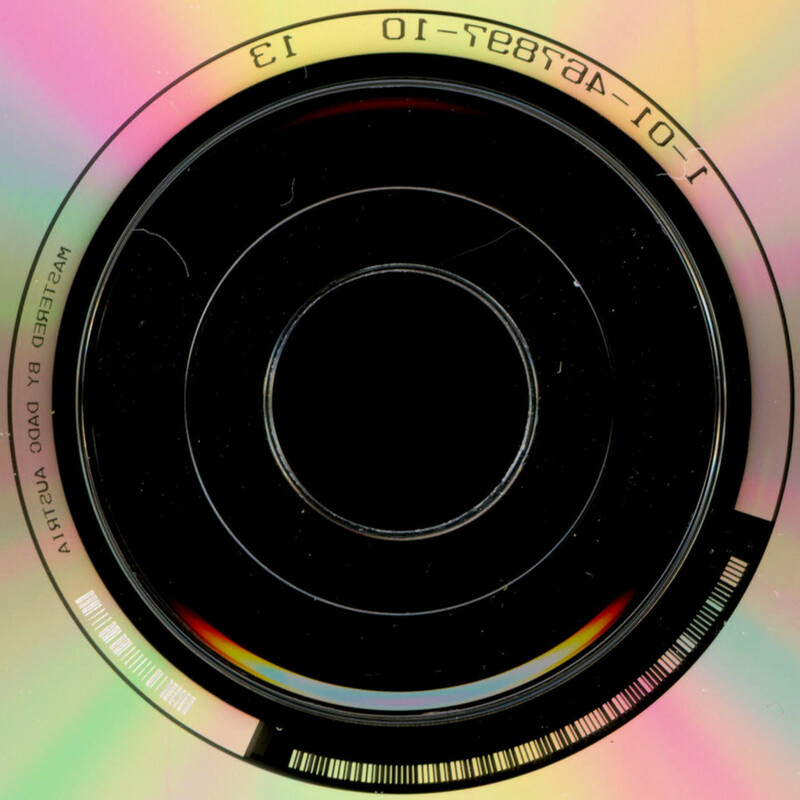 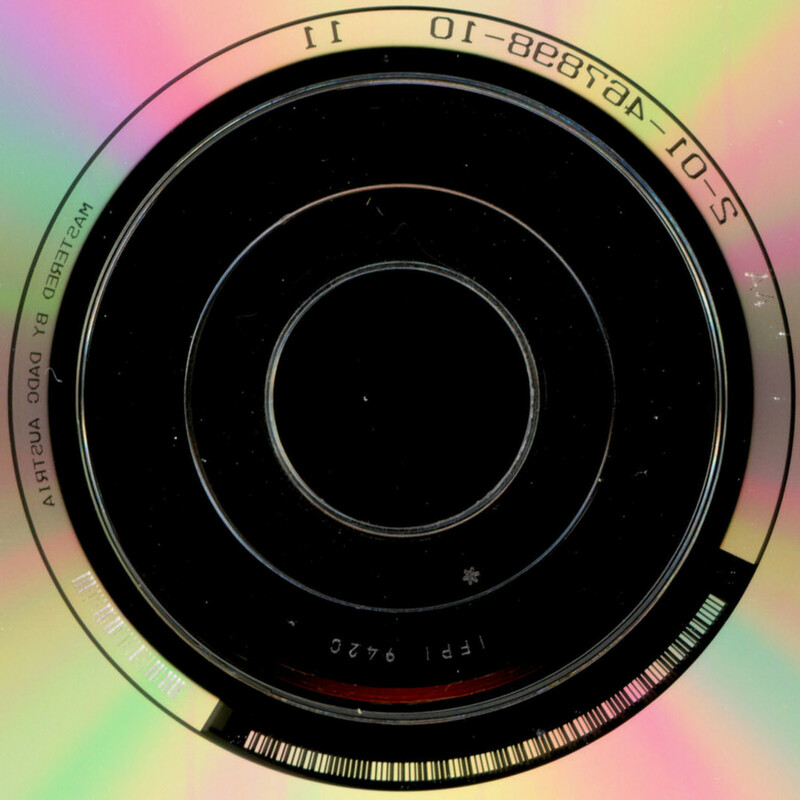 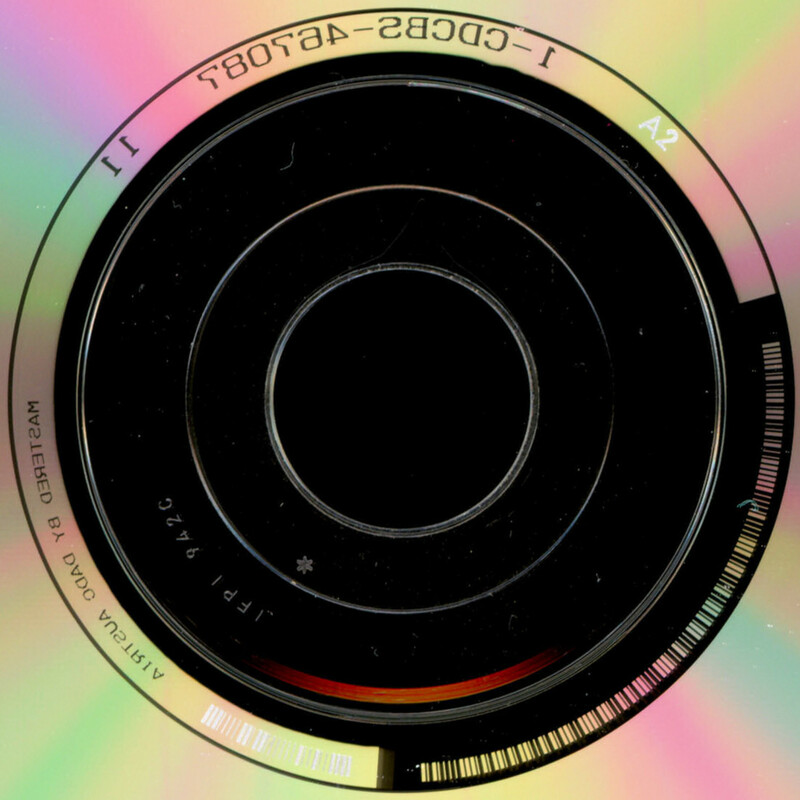 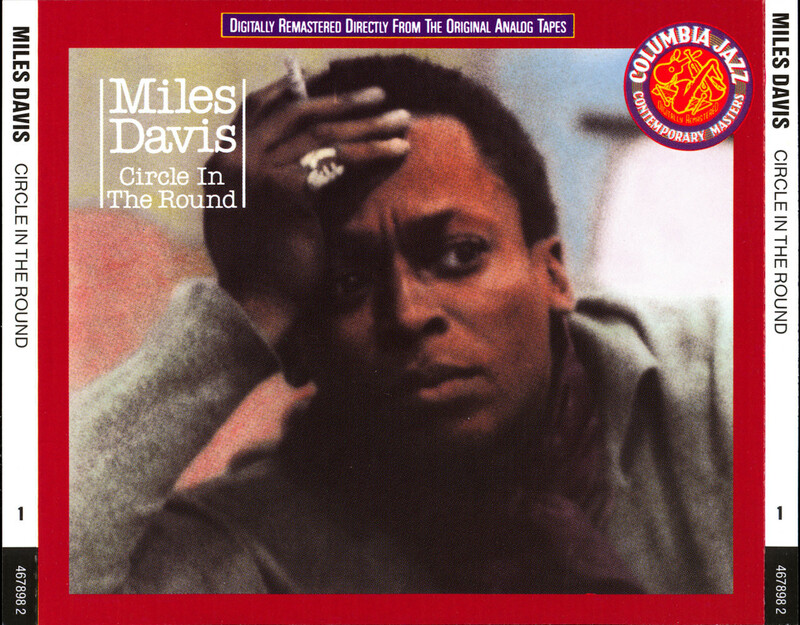 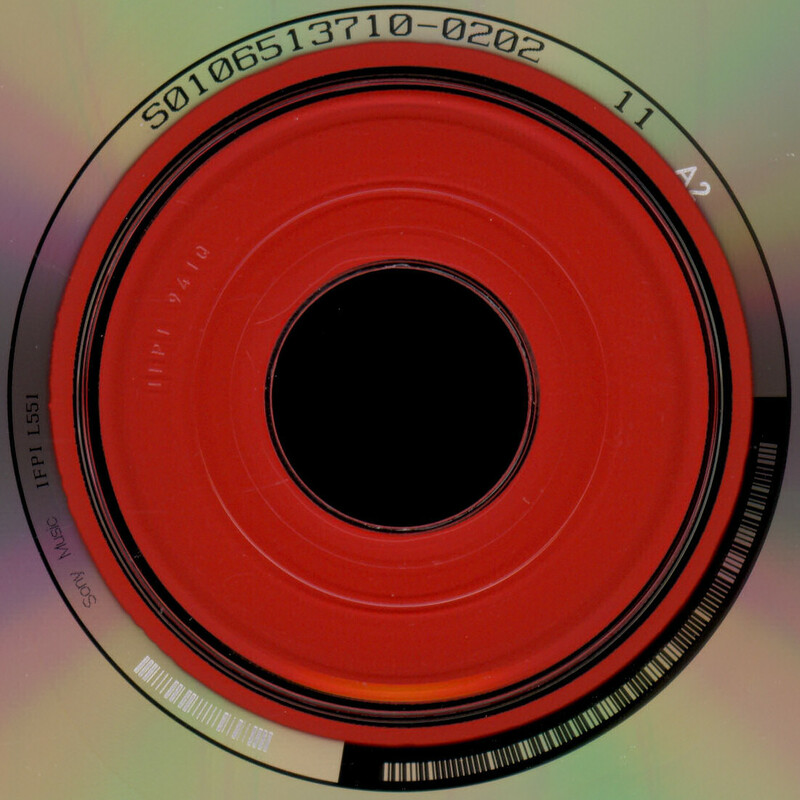 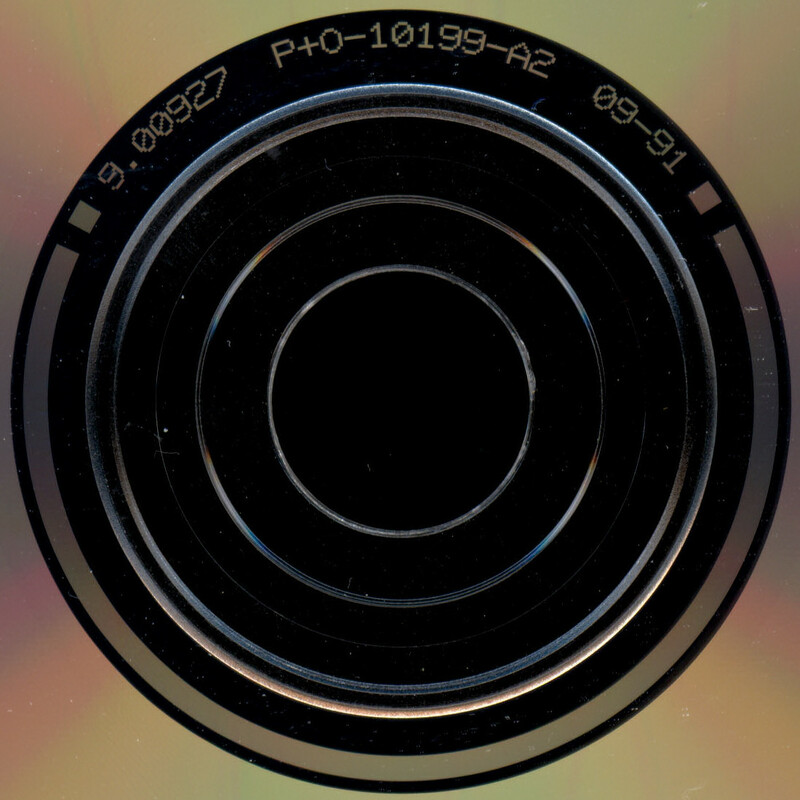 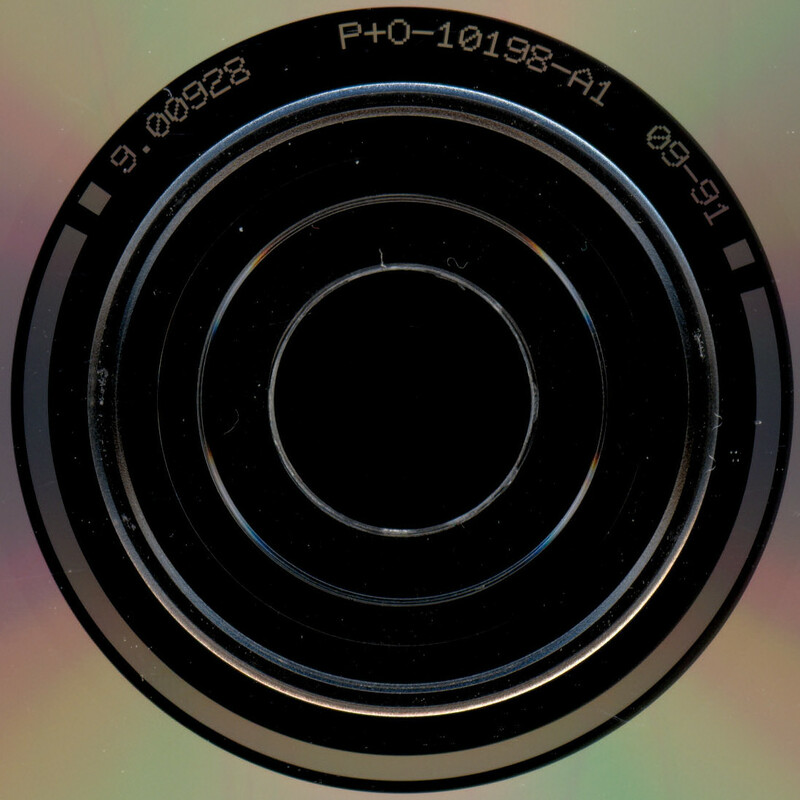 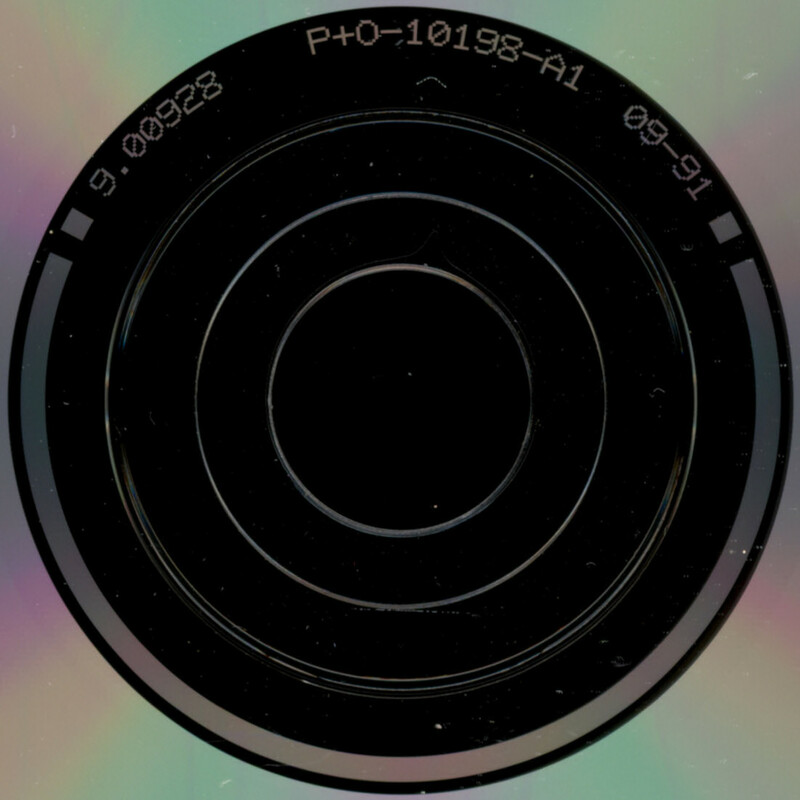 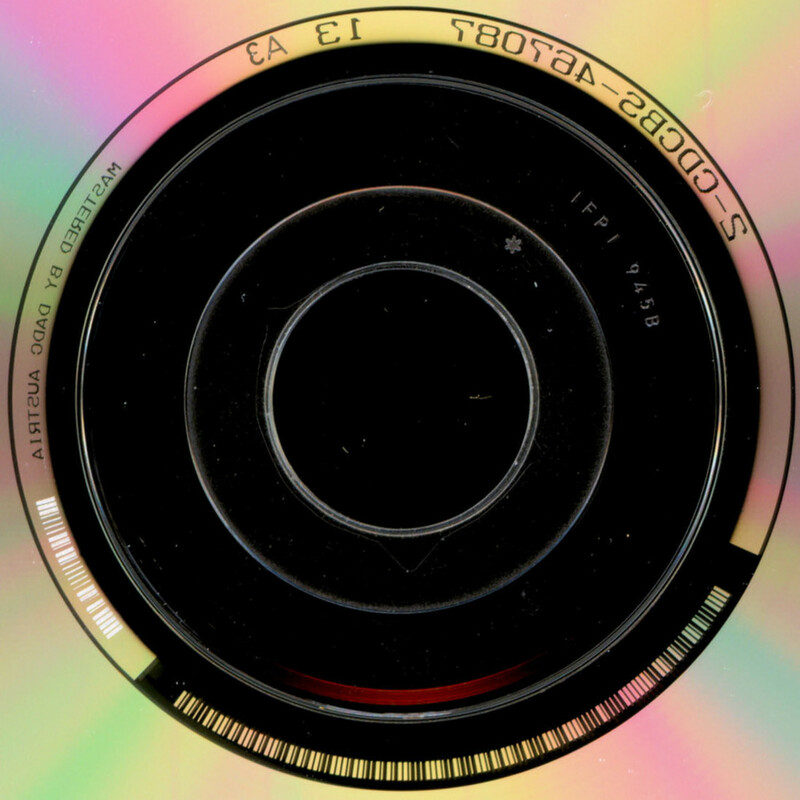 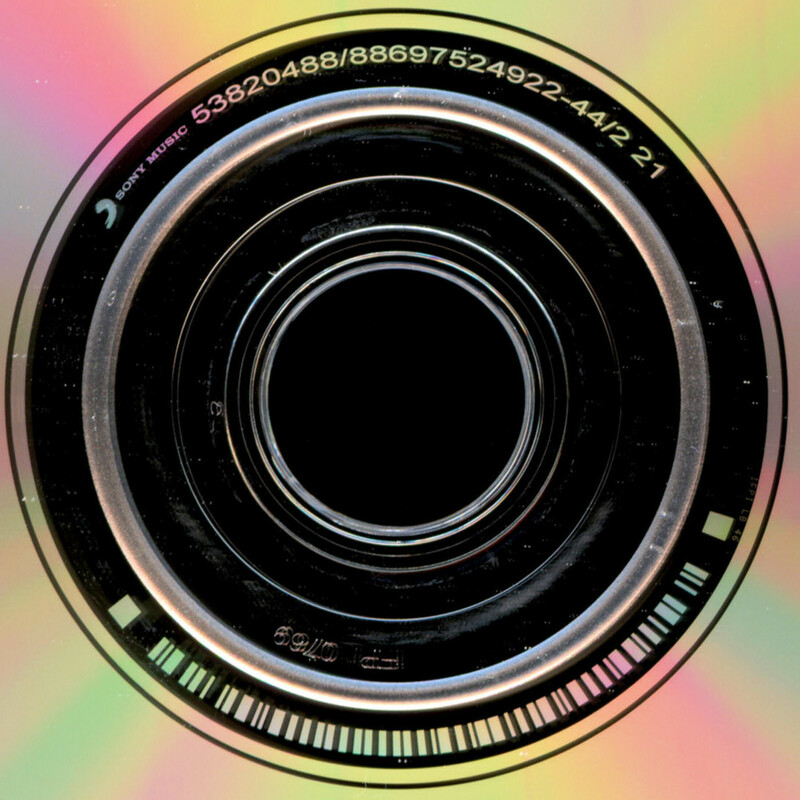 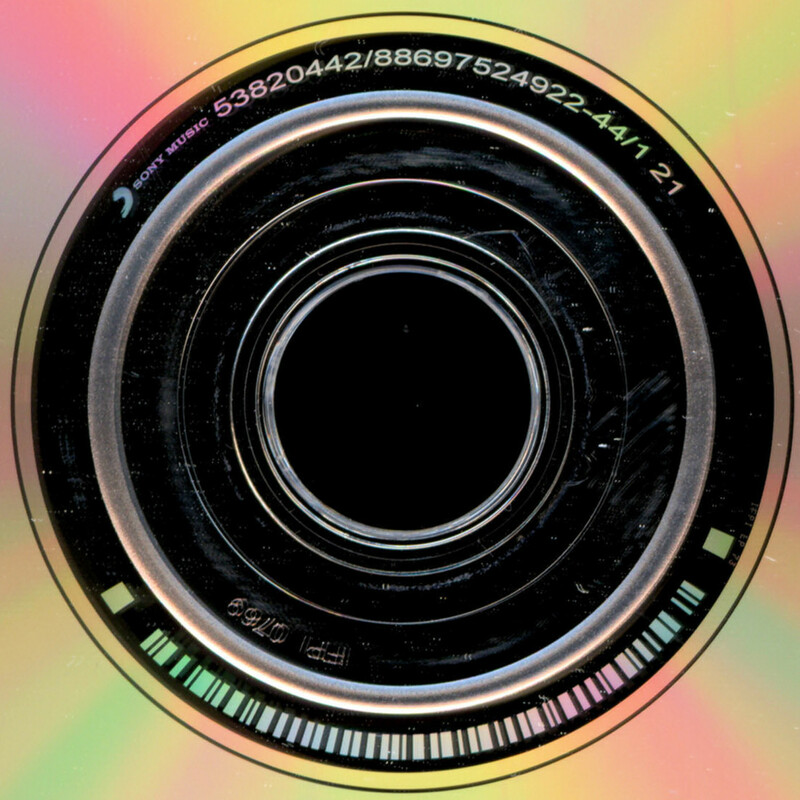 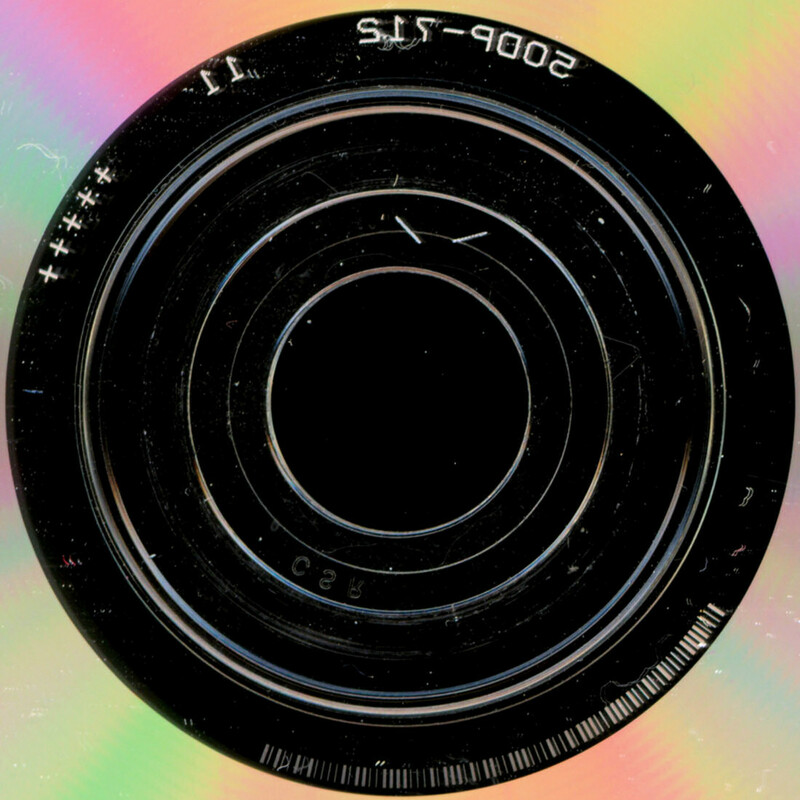 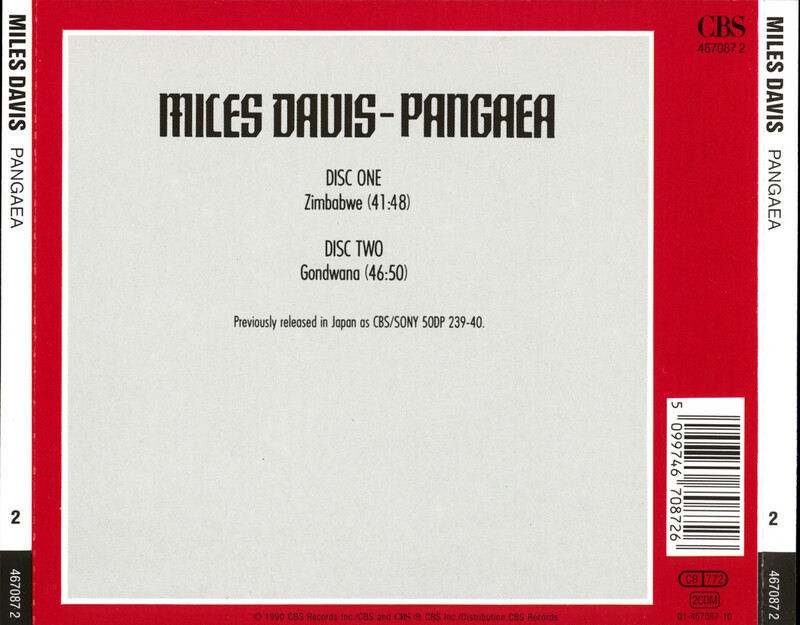 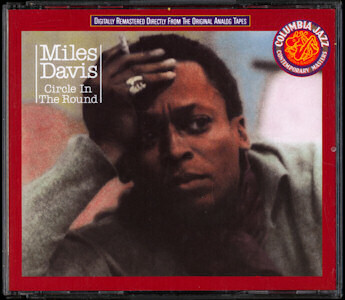 miles davis - pangaea .
. miles davis - circle in the round .